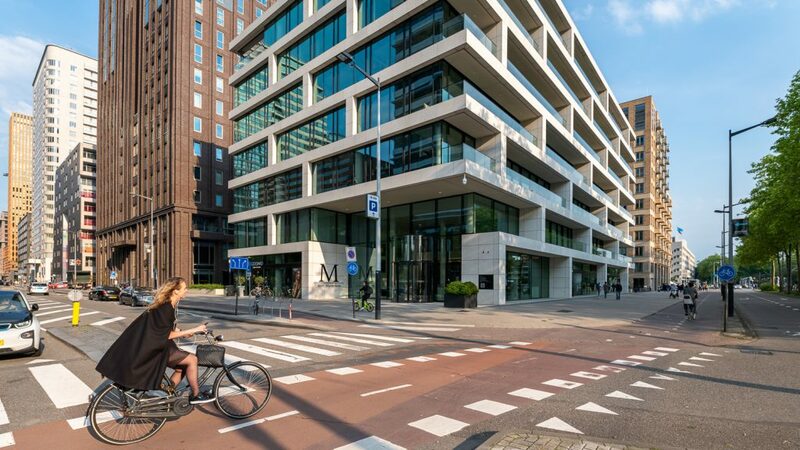 Maarsen Groep develops commercial real estate and apartments. 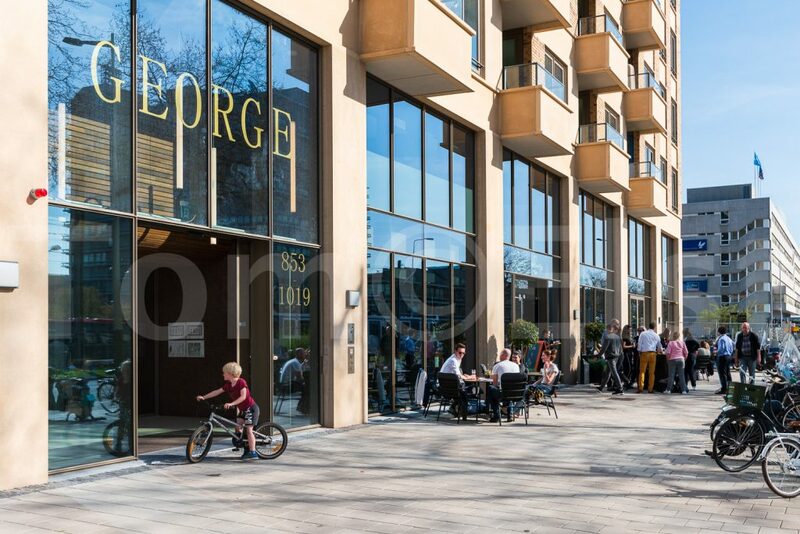 Independent, versatile, enterprising and with a long term focus. 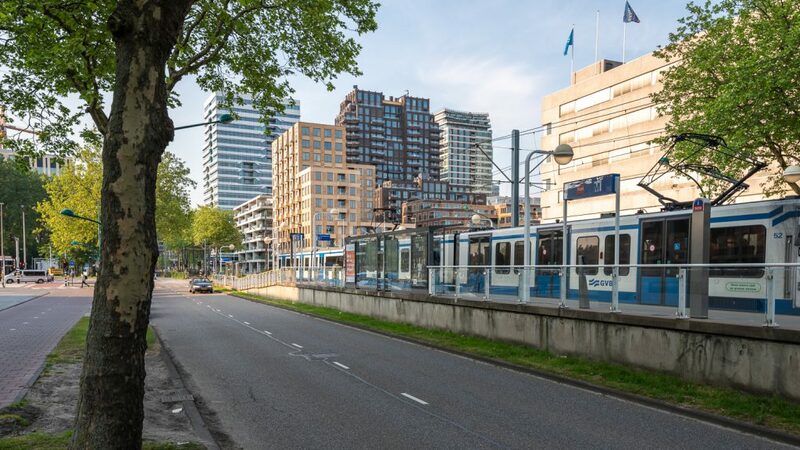 The Amstelkwartier is easily accessible by car, but is also close to the Amstel Station. 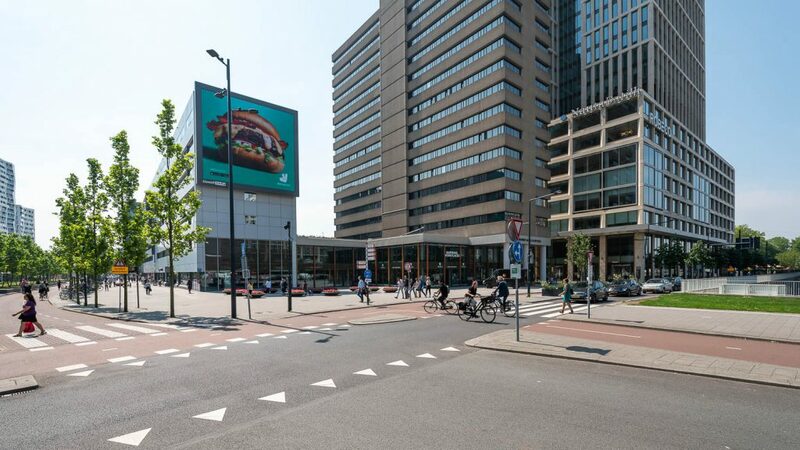 Quickly in the centre of Amsterdam but also close to the Ring A10. 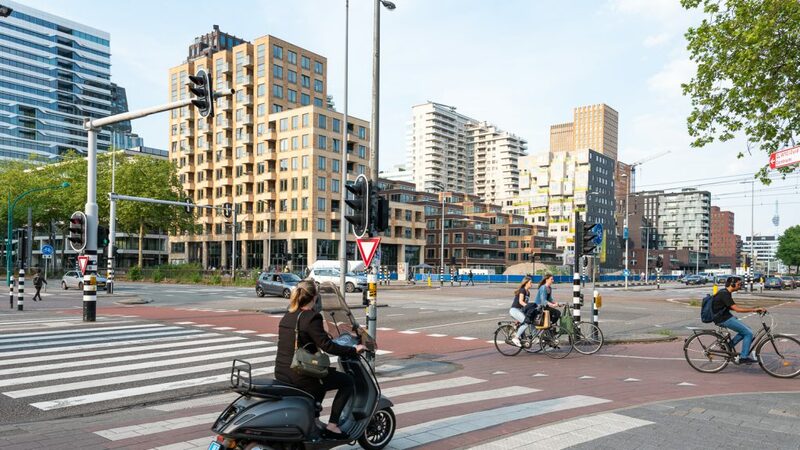 The 108 luxury rental apartments with parking garage are designed by architect Pi de Bruijn (the Architekten Cie.). 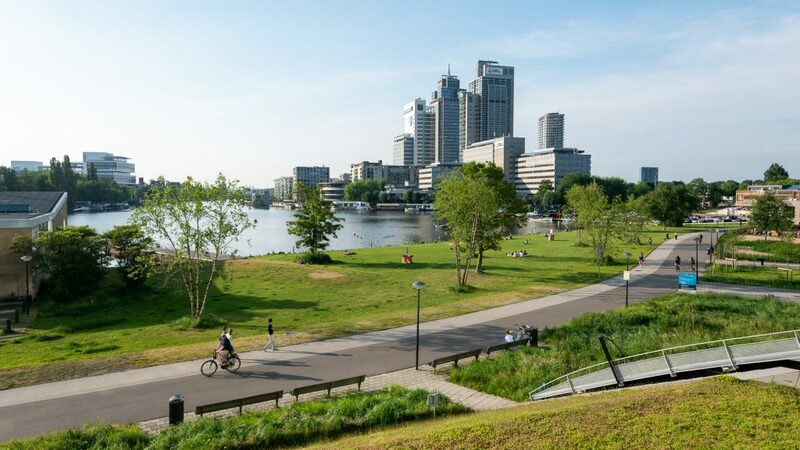 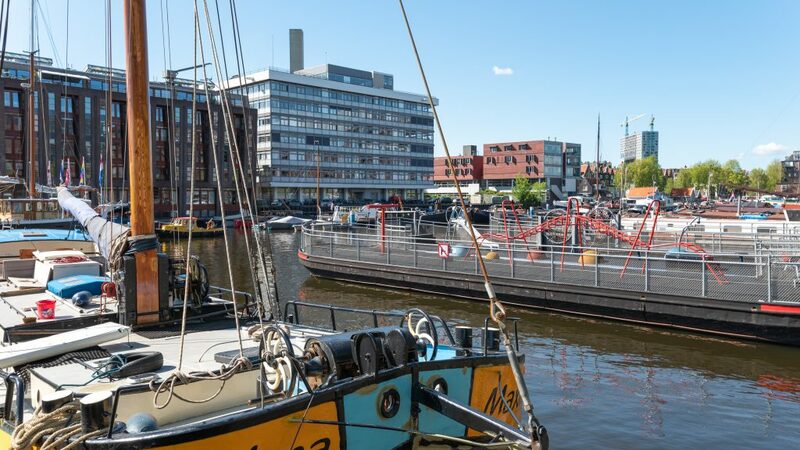 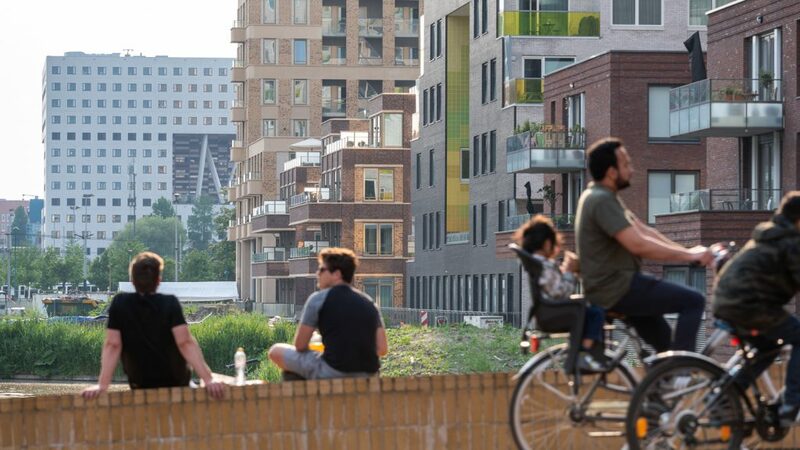 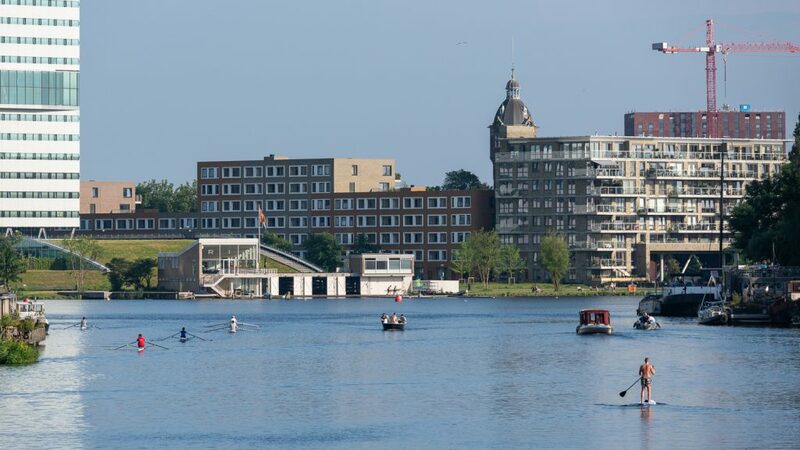 The apartments are located at Park Somerlust, surrounded by trendy restaurants and various water sports facilities and offer a beautiful view over the Amstel. 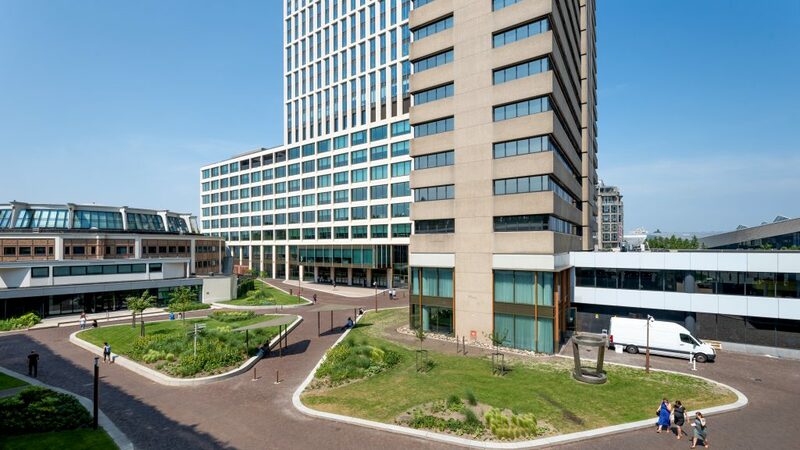 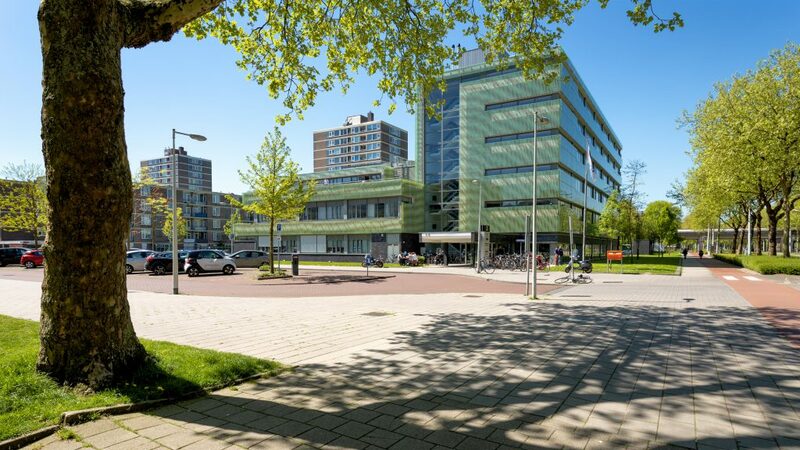 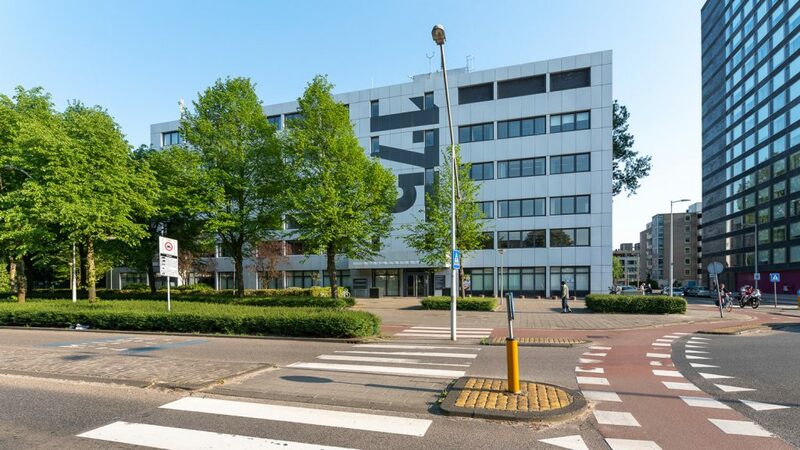 On the Buitenveldertselaan lies the representative office building, within cycling distance of the Zuidas, close to tram / metro and NS station Amsterdam Zuid. 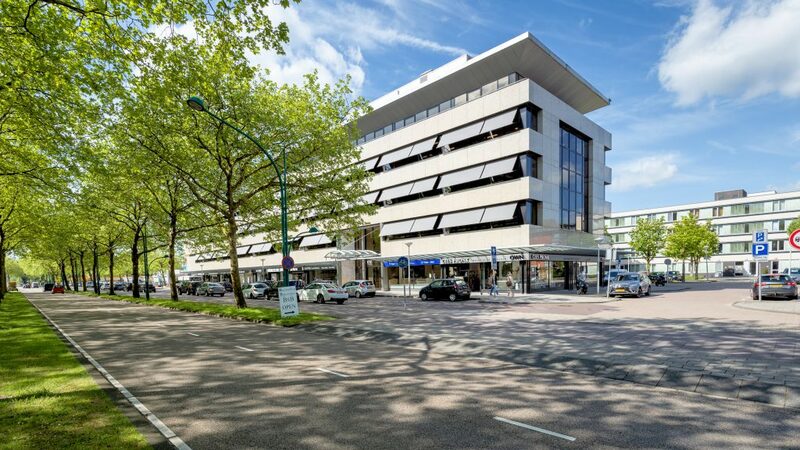 In the immediate vicinity is ample parking available and several shops are within walking distance. 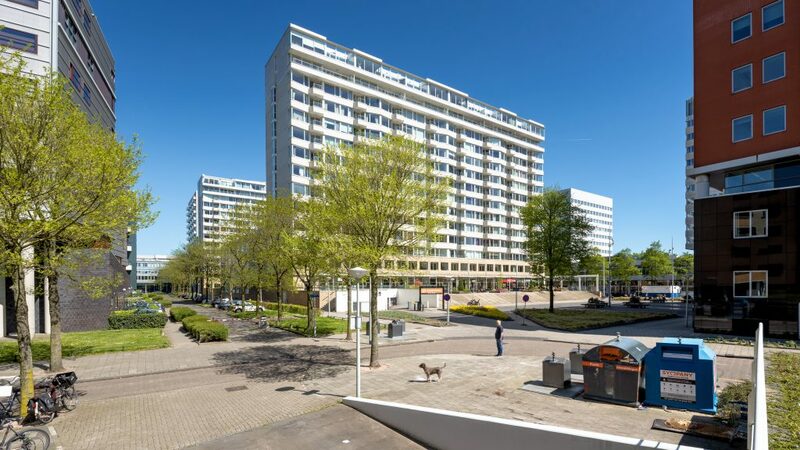 The ideal location in the vicinity of the Zuidas, Schiphol, shops and public transport. 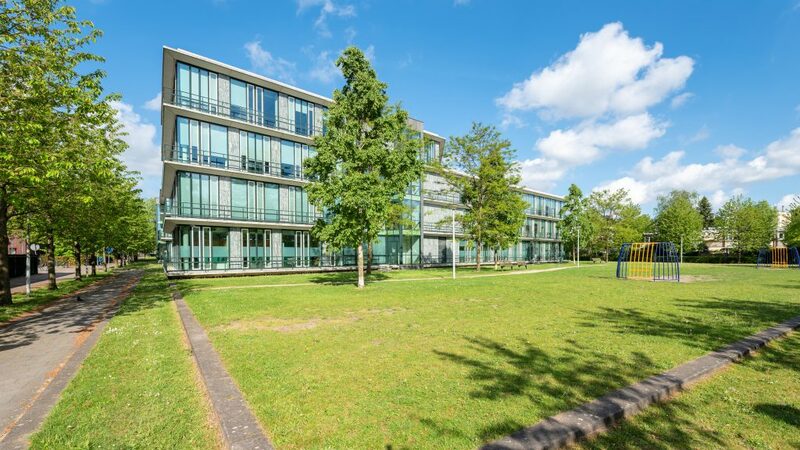 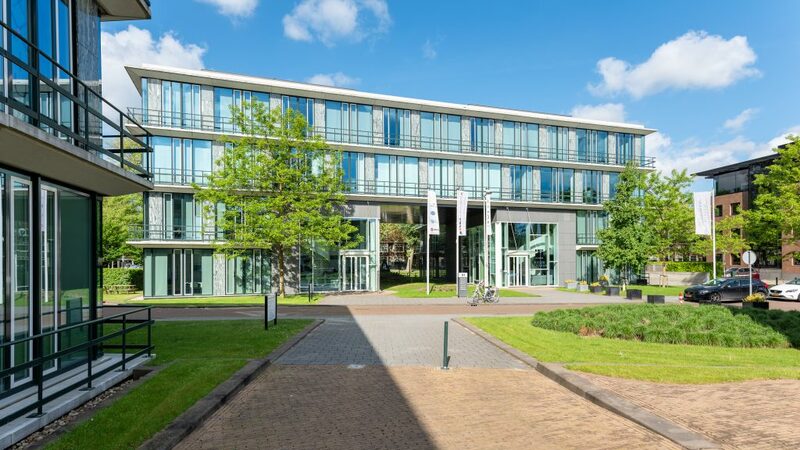 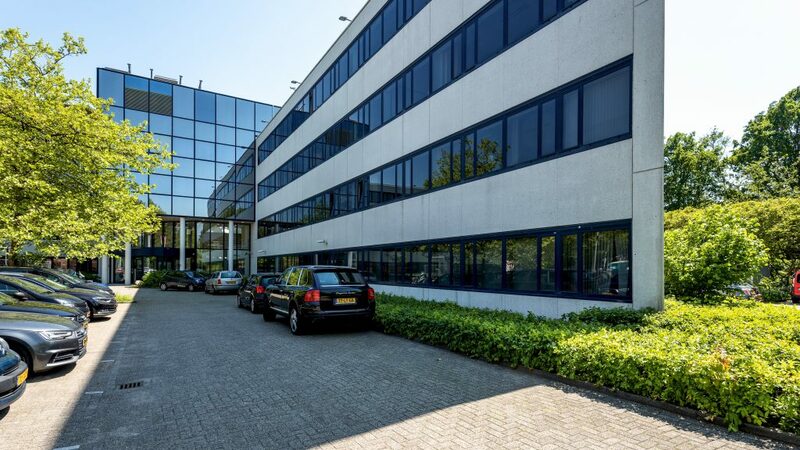 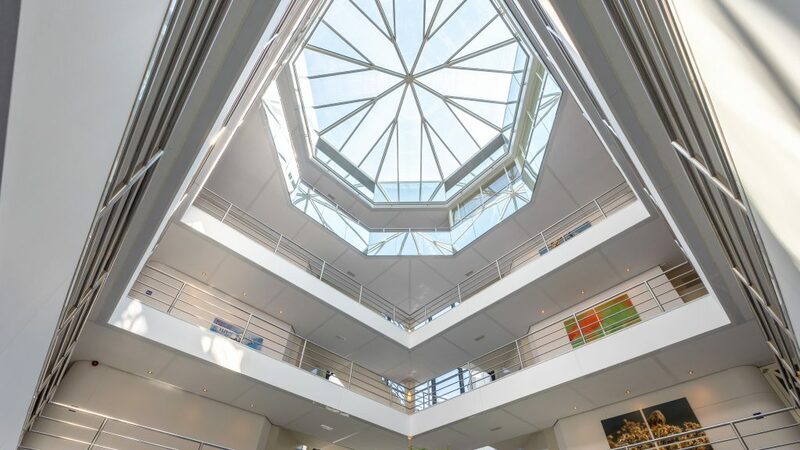 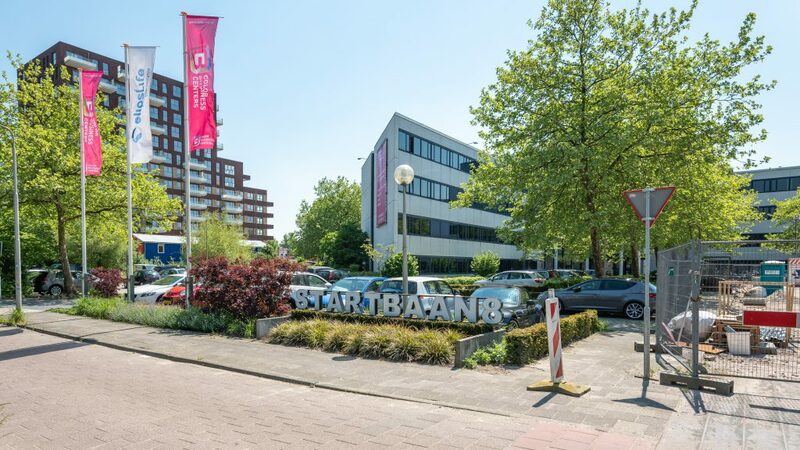 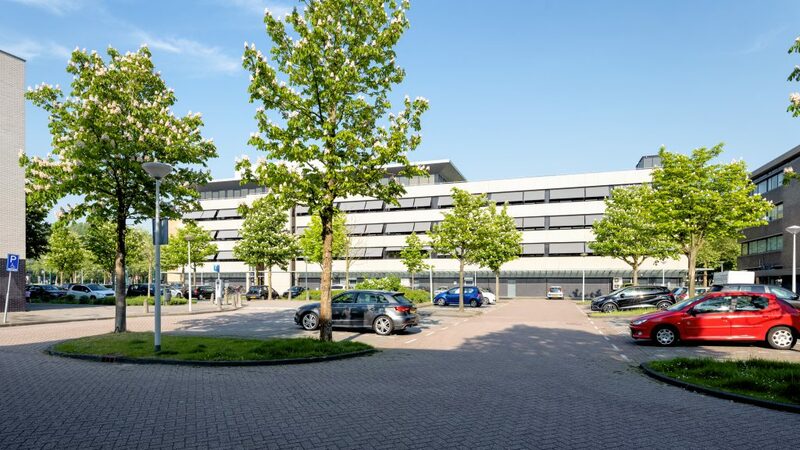 This office building is located on the south-western outskirts of Amsterdam, with a beautiful contemporary look. 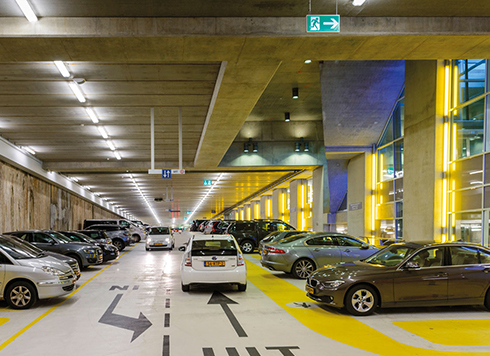 Parking facilities are available next to and underneath the building. 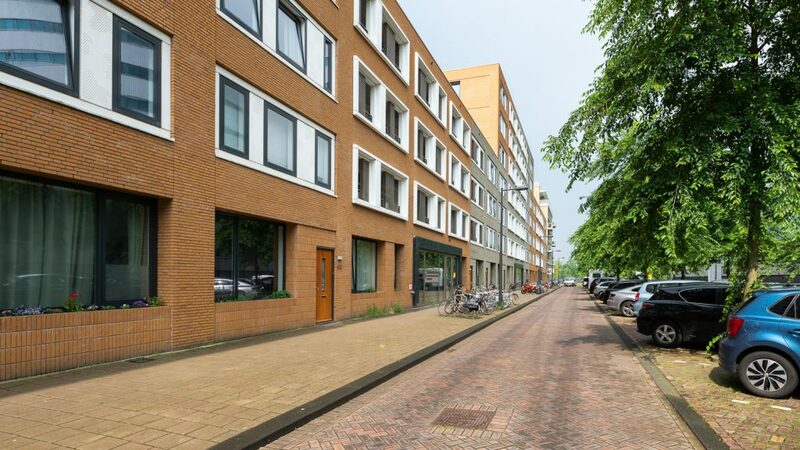 A multi-tenant building, in which small spaces can also be rented with flexible conditions. 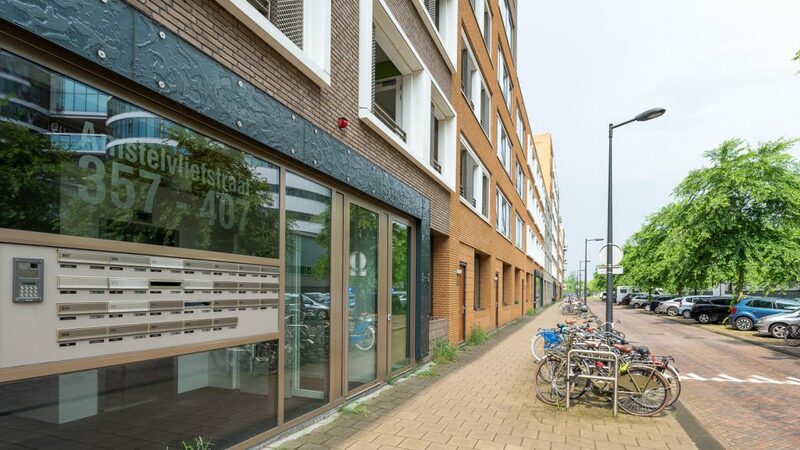 The "De Huismeesters" provides catering and a coffee bar, so visitors and tenants are welcomed in a pleasant way. 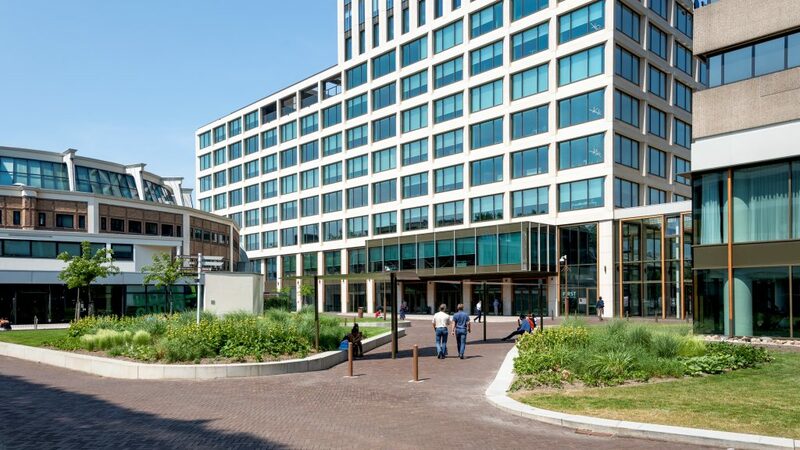 Only a few minutes from the Zuidas, Schiphol Airport and the Amsterdamse Bos, five detached, high-quality office pavilions have been developed and realized. 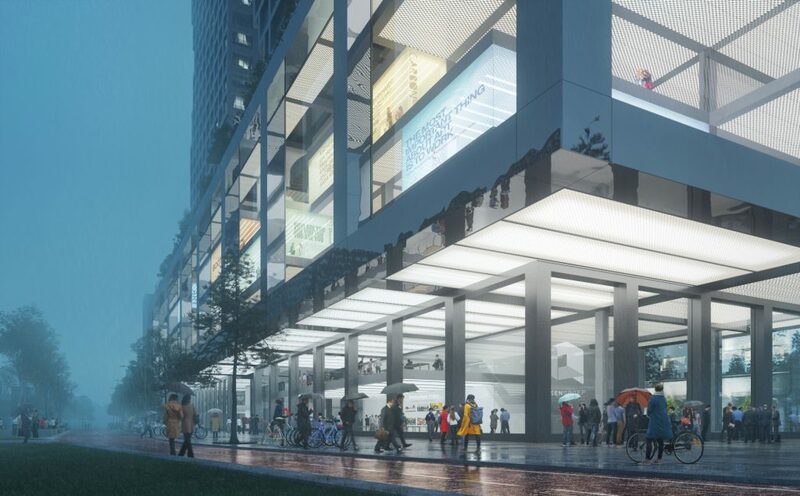 The pavilions are situated around a communal garden that also forms the roof of the underground parking garage. 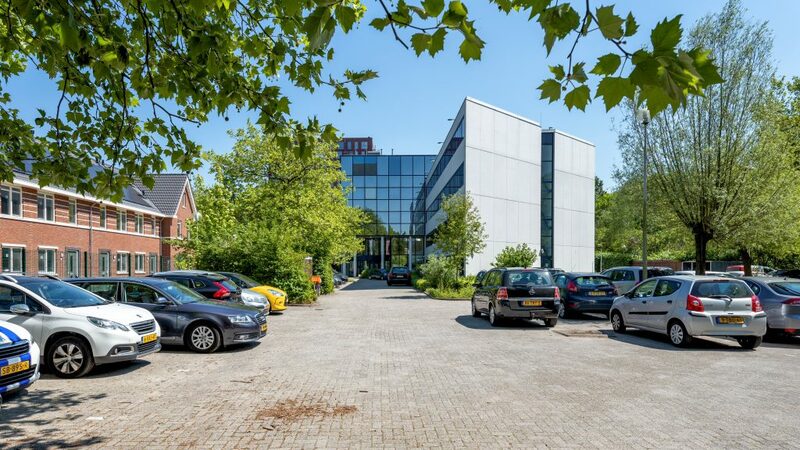 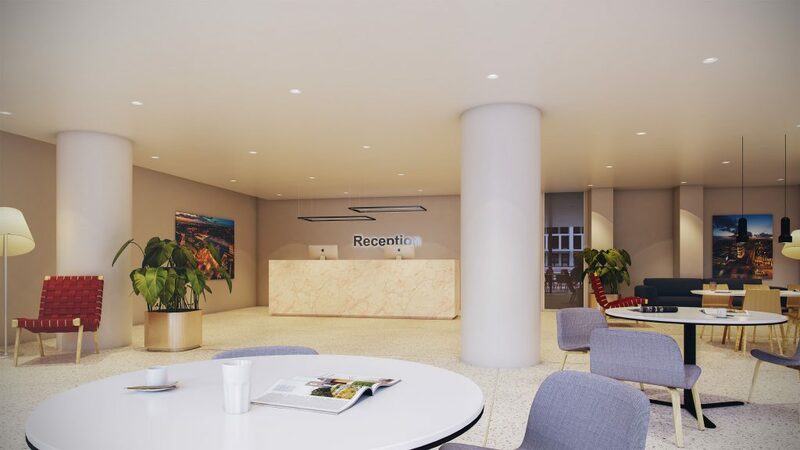 This unique office location is ideal for the company that wants a representative location; easily accessible and with room for your own identity. 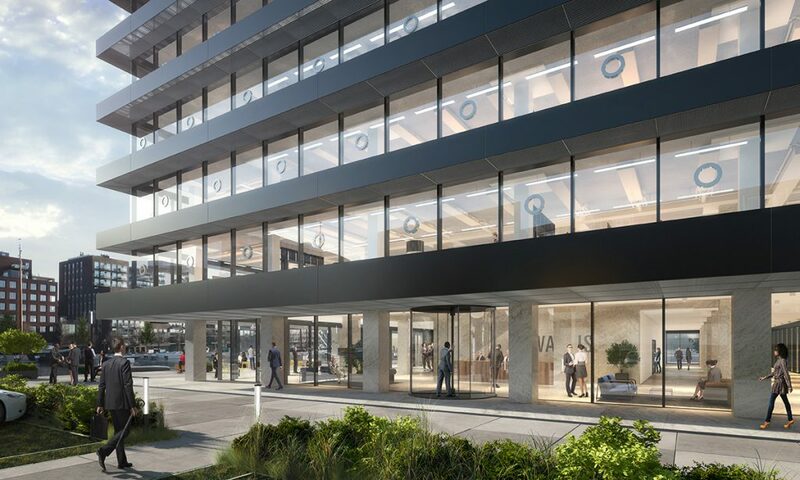 The five pavilions comprise a total of approximately 10,900 m² of office space. 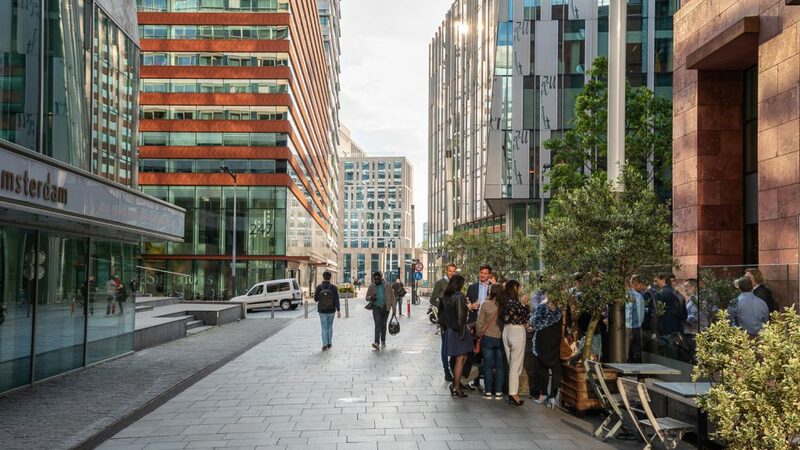 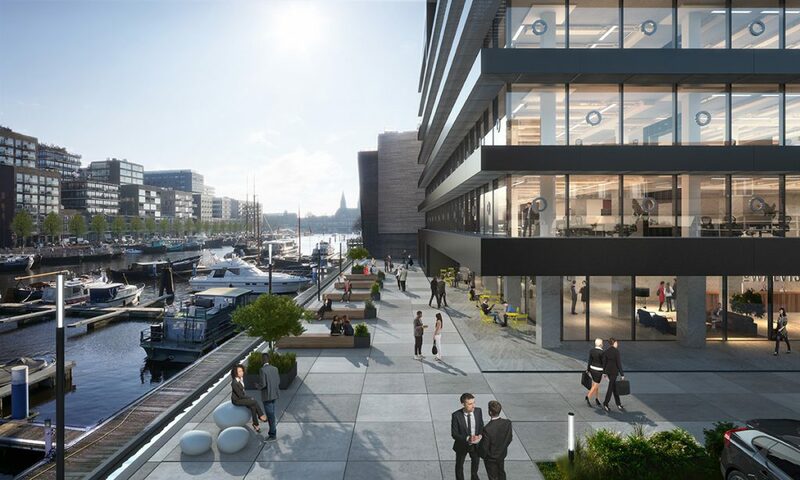 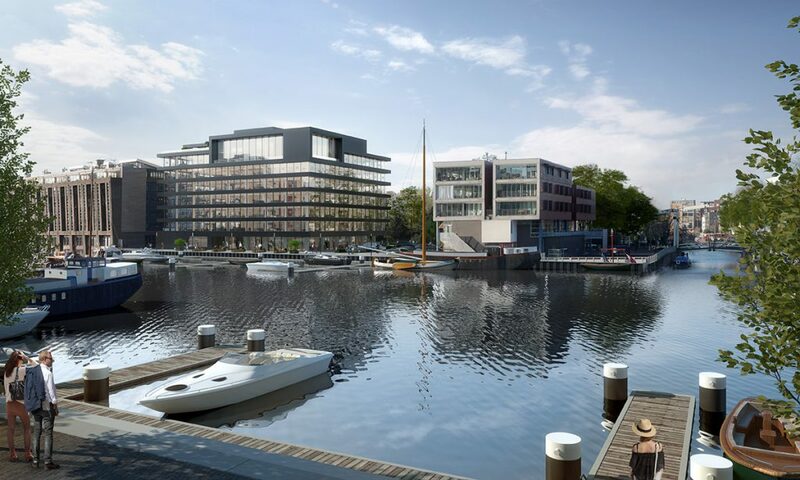 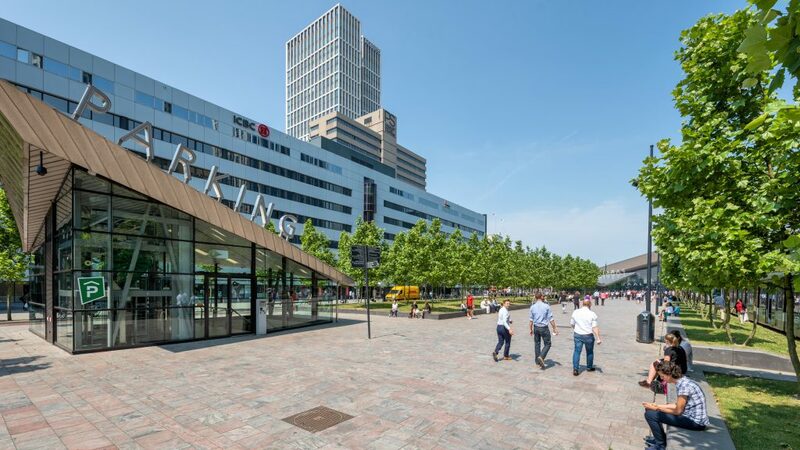 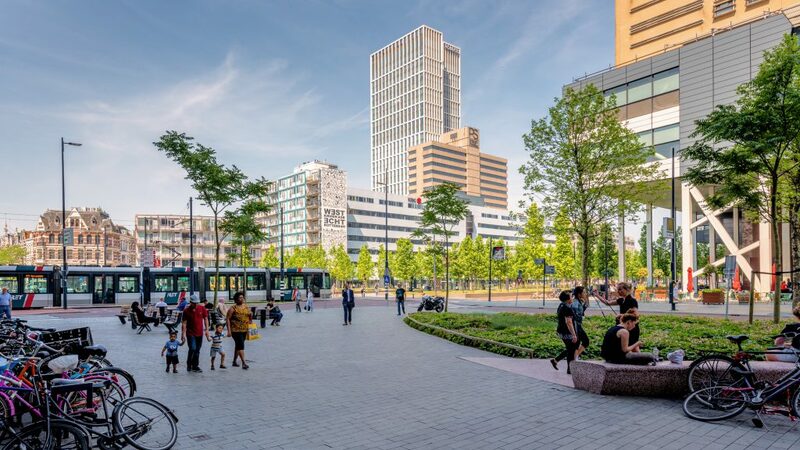 Together with tenants Nauta Dutilh and Robeco, the plans were developed for FIRST Rotterdam: a high-quality office building at the Weena, with approximately 40,000 m² of offices and facilities in the plinth, and an underground parking garage with approximately 200 parking spaces. 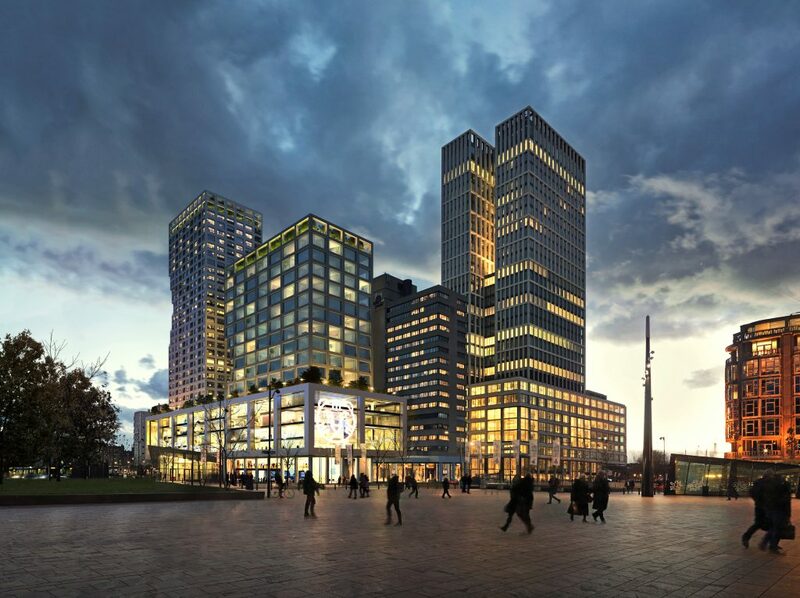 FIRST Rotterdam was designed by Branimir Medic (the Architekten Cie.). 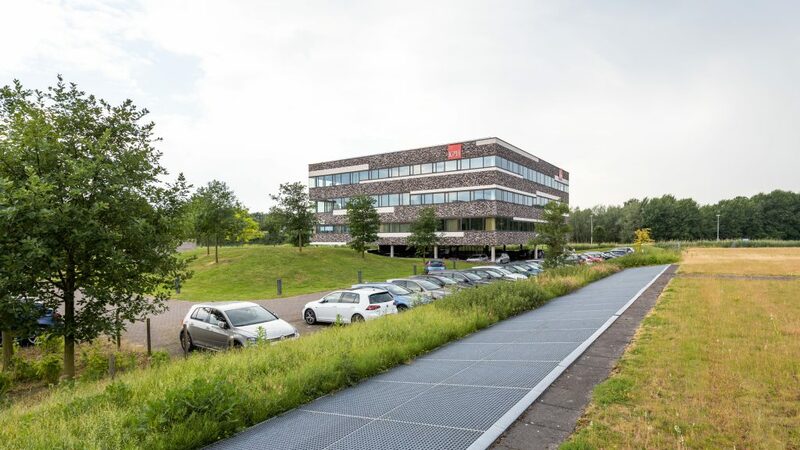 The project was completed in 2016 and now houses a large diversity of office users. 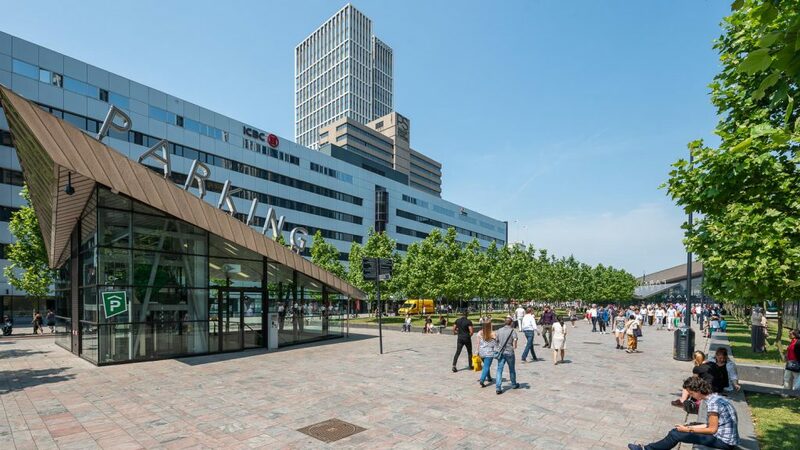 Gershwin Brothers is located on the corner of George Gershwinlaan and Parnassusweg (Zuidas). 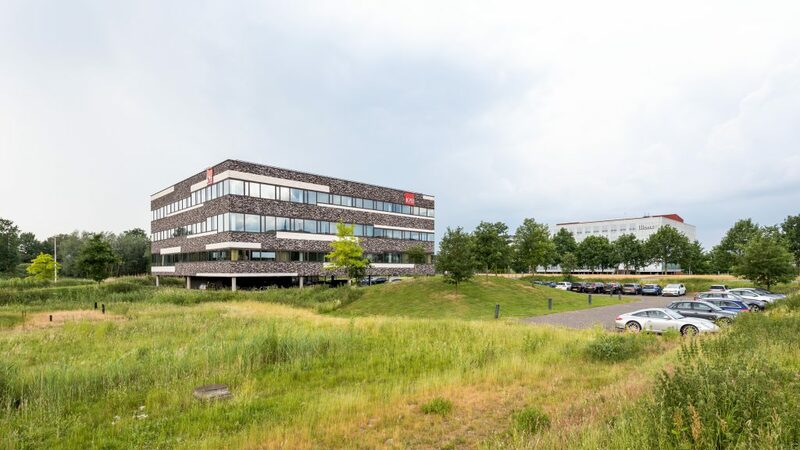 The project was developed, together with our partner Zadelhoff, and completed in the first quarter of 2018. 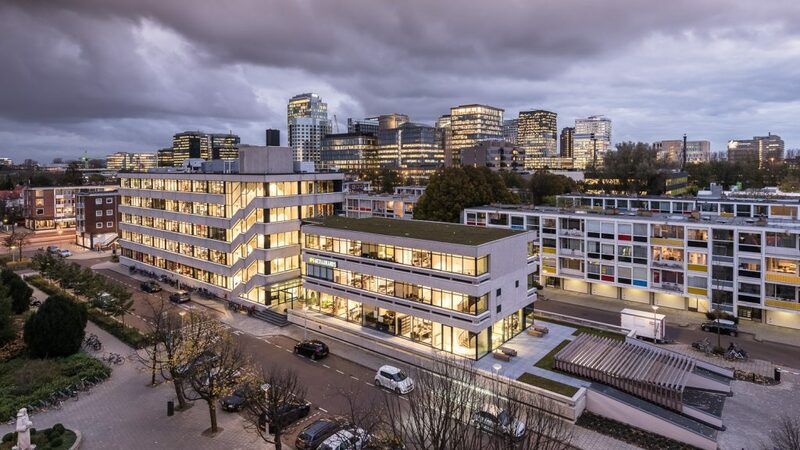 The project consists of two separate buildings with a total of 159 luxury rental apartments, built on an underground car park. 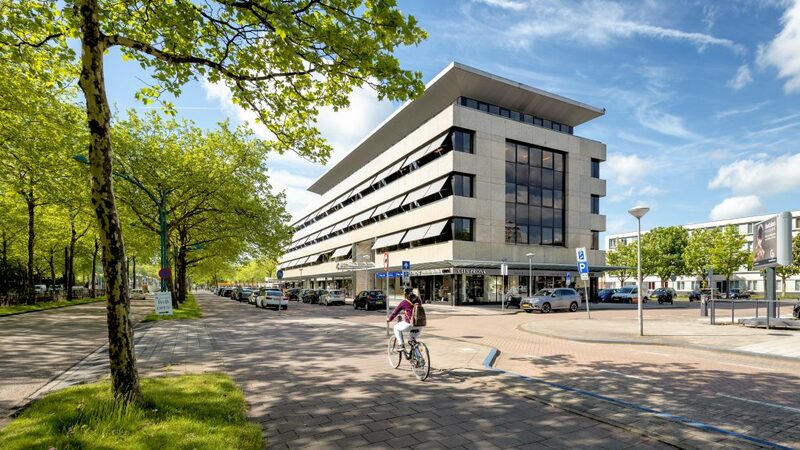 In the building on the Parnassusweg are shops in the plinth, including "Loetje Zuidas" with a beautiful terrace on the water. 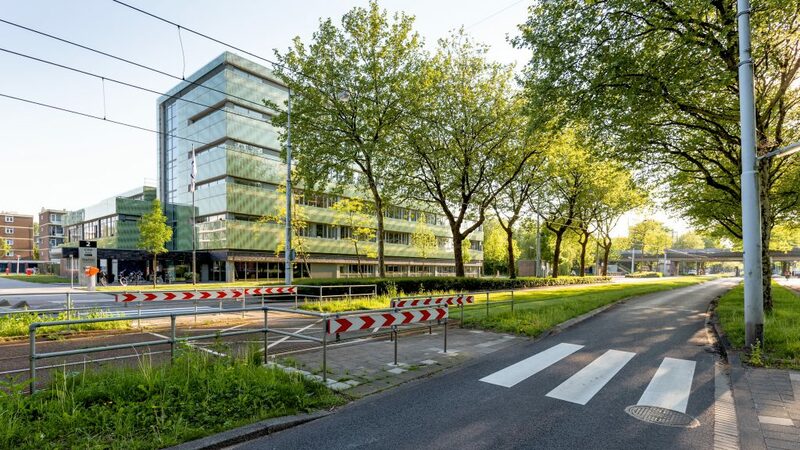 In 2013, together with our partner Zadelhoff, the first sketches were made for a new building on the corner of the Ring A10 and the Parnassusweg (Zuidas). 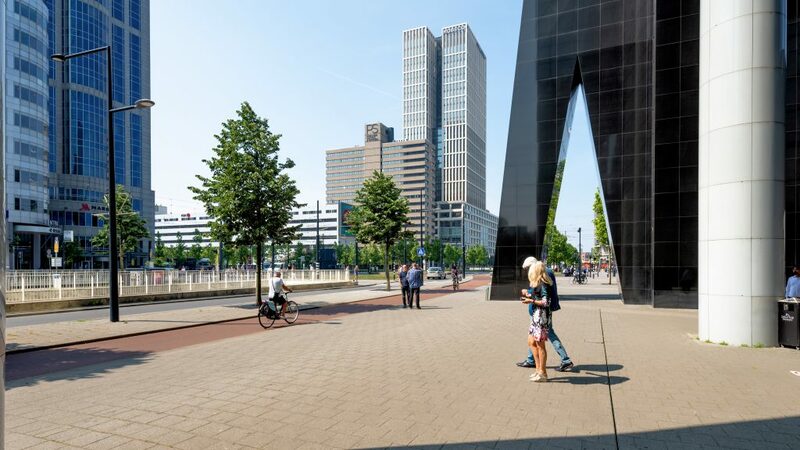 The fitted building was designed by Diederik Dam (Dam & Partners Architects) and has the shape of an hourglass ("Hourglass"). 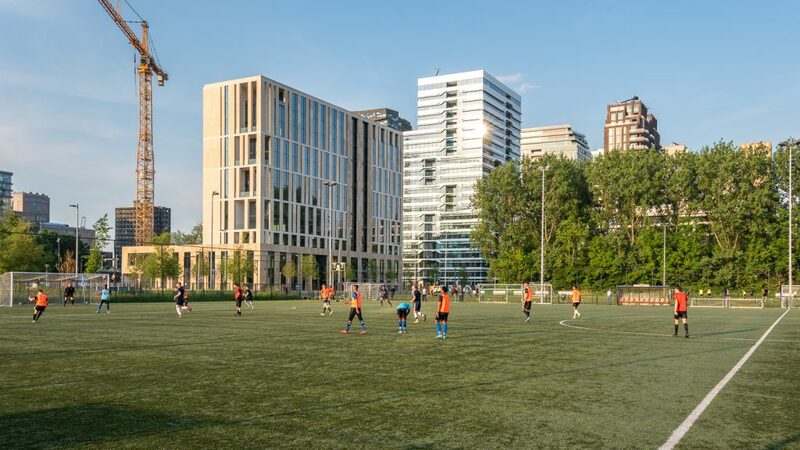 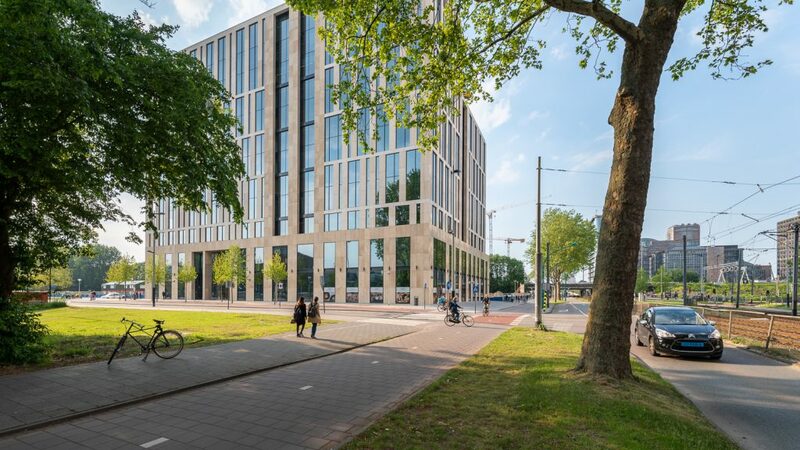 In close cooperation with the municipality of Amsterdam, tenants Loyens & Loeff and PREM Group, a design was developed into a mixed-use building in which shops in the plinth, high-quality offices, 115 hotel apartments and a "sky bar" have all been given a place. 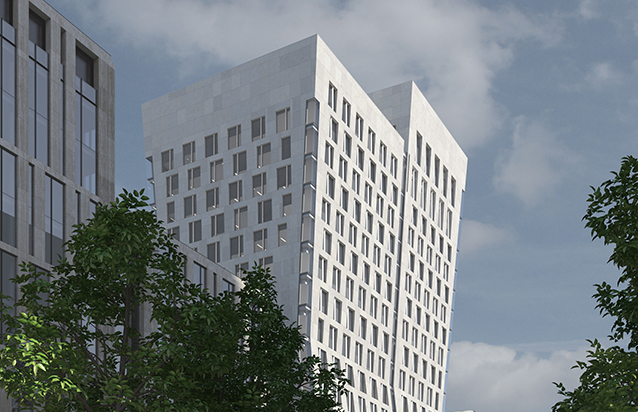 Along the Parnassusweg Hourglass forms an ensemble with the adjacent NoMA House. 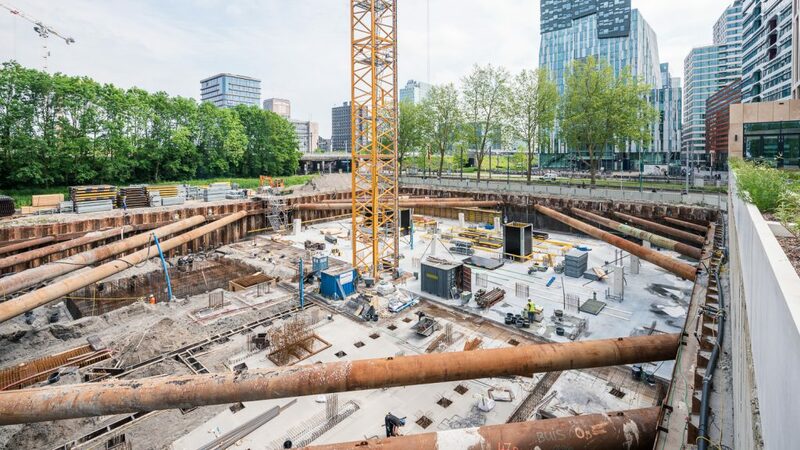 From the A10 and the renewed Station Amsterdam Zuid, Hourglass will soon be visible as part of the Zuidas skyline. 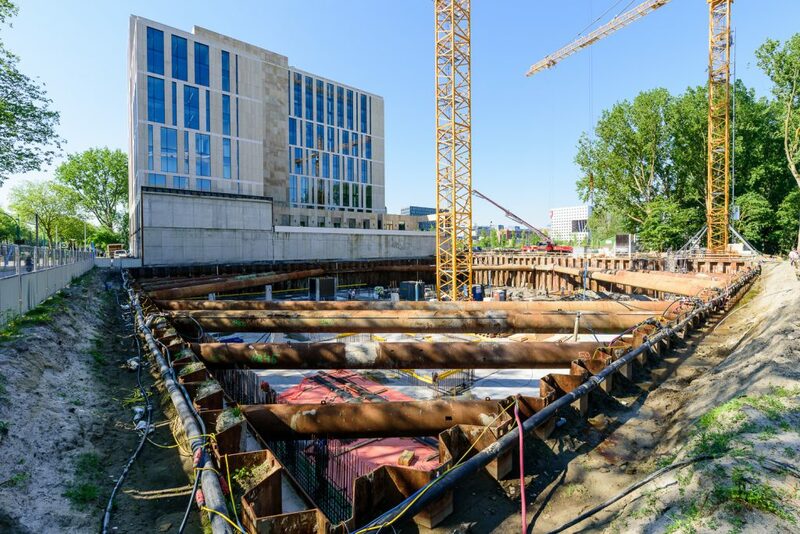 The construction of Hourglass started at the end of 2017, and the building will be handed over to the tenants by the end of 2019, so that it can be used in early 2020. 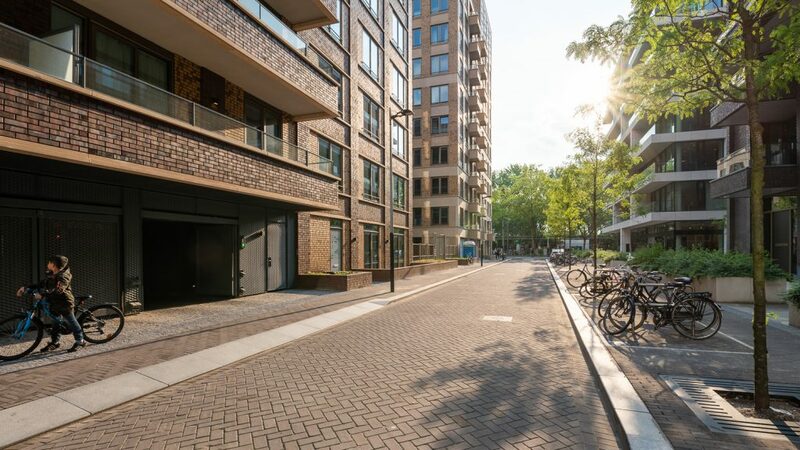 At the Gerrit Mannourystraat, Maarsen Groep is developing two apartment buildings with a total of 68 rental homes and underground parking spaces. 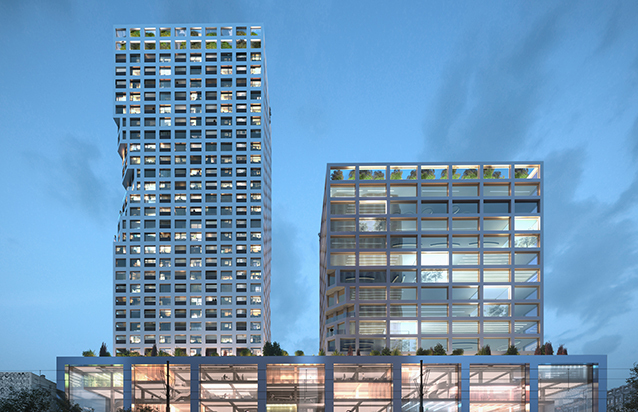 The two buildings have been designed by LEVS Architects. 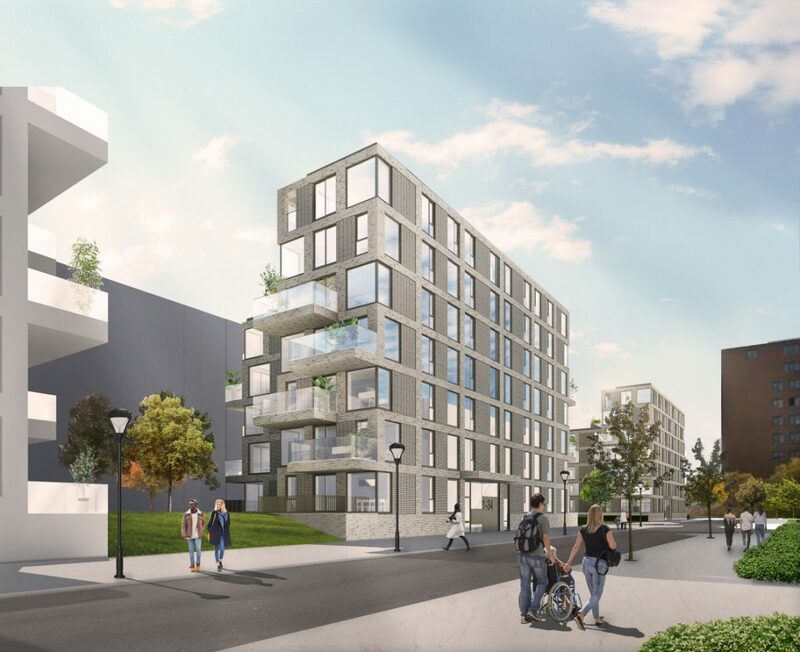 The construction of the apartments is expected to start at the start of 2019, which will then be completed by the spring of 2020. 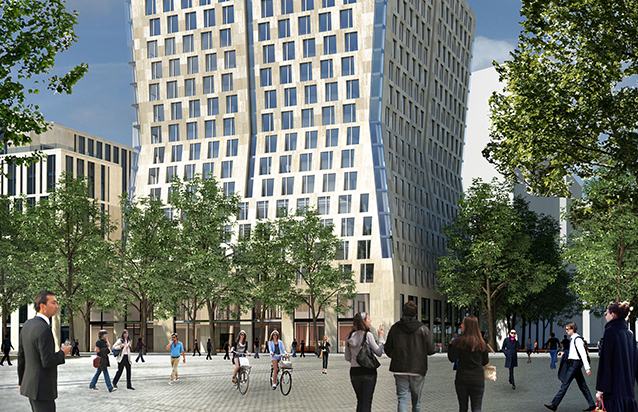 The final part of the redevelopment of the Weenapoint complex will take place at the Kruisplein. 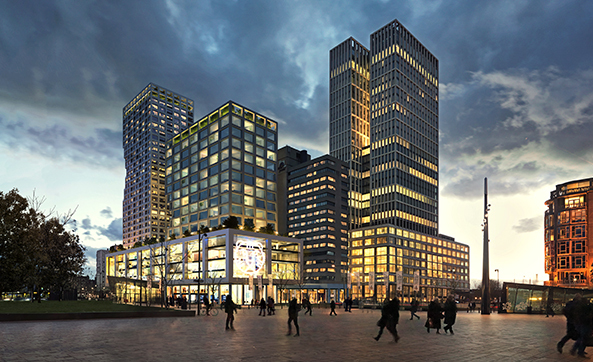 Architect Jacob van Rijs (MVRDV) is responsible for the design of The Modernist: high-quality entrances and shops on the ground floor, approx. 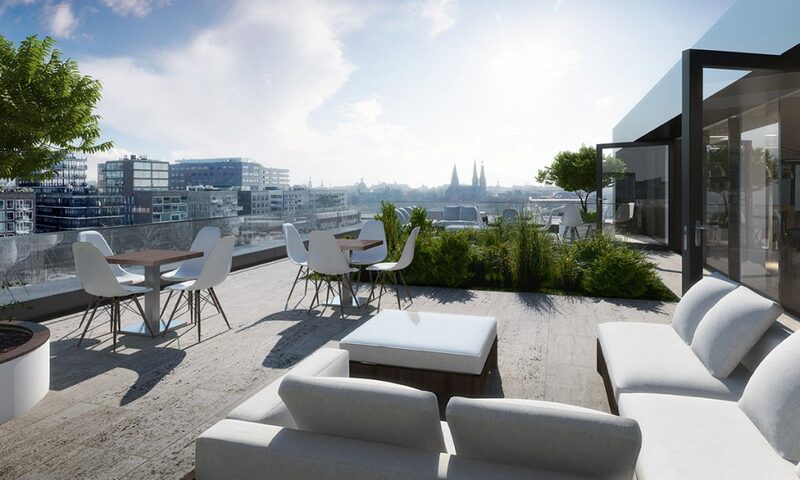 14,000 m² of high-quality office space and approximately 300 apartments, with a magnificent view over the city. 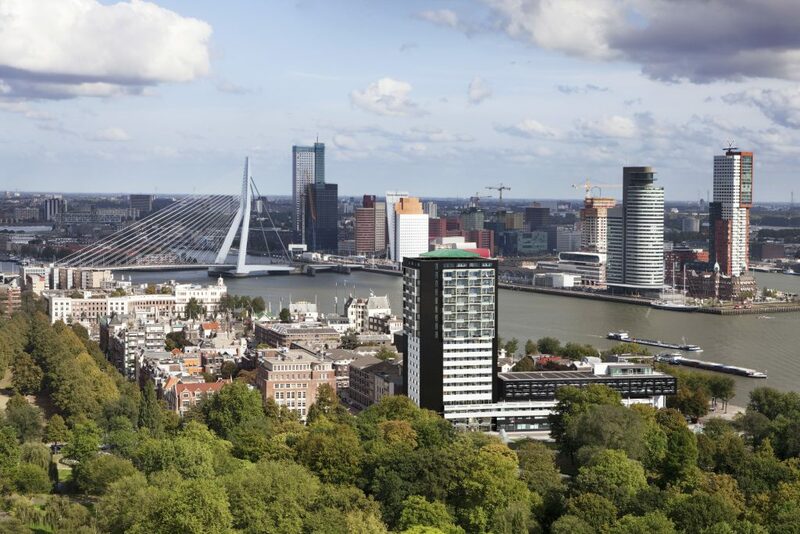 The design is inspired by modernism that is so characteristic of Rotterdam's architecture from the 1950s and 1960s. 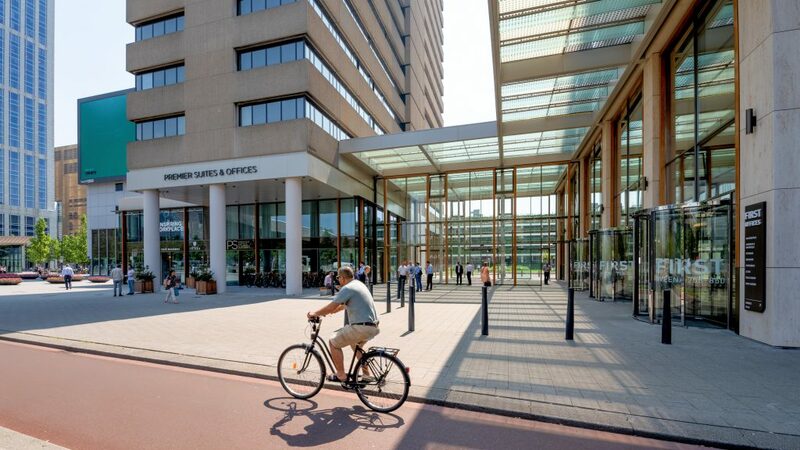 NoMA House is the high-quality office building on the corner of Gustav Mahlerlaan and Parnassusweg (Zuidas). 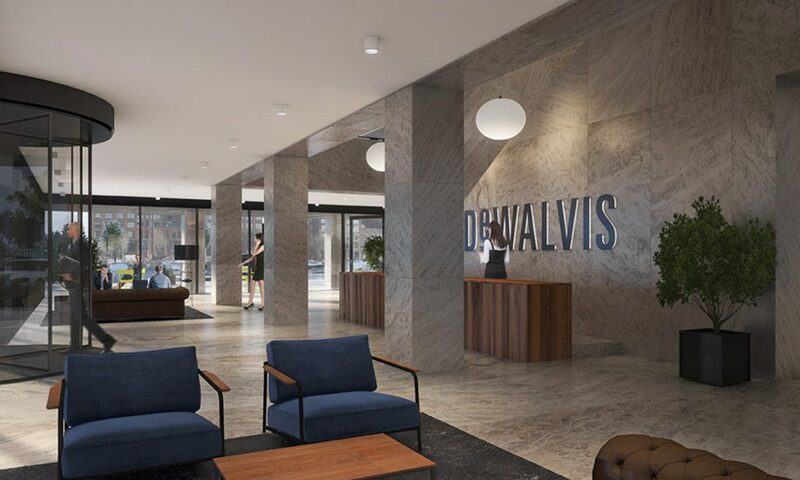 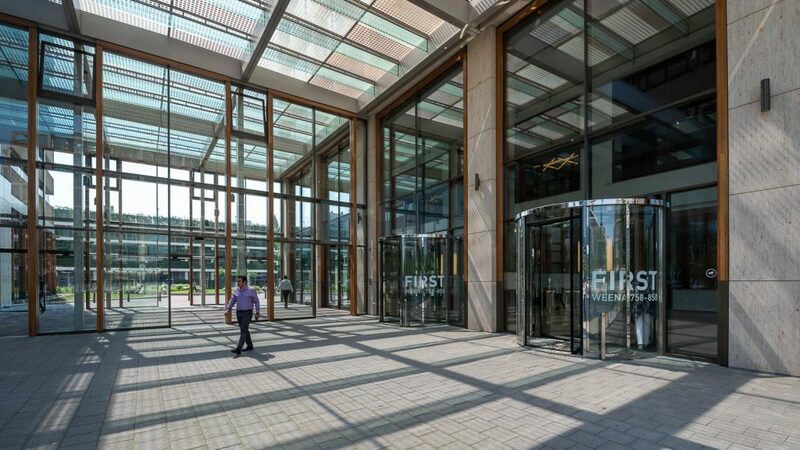 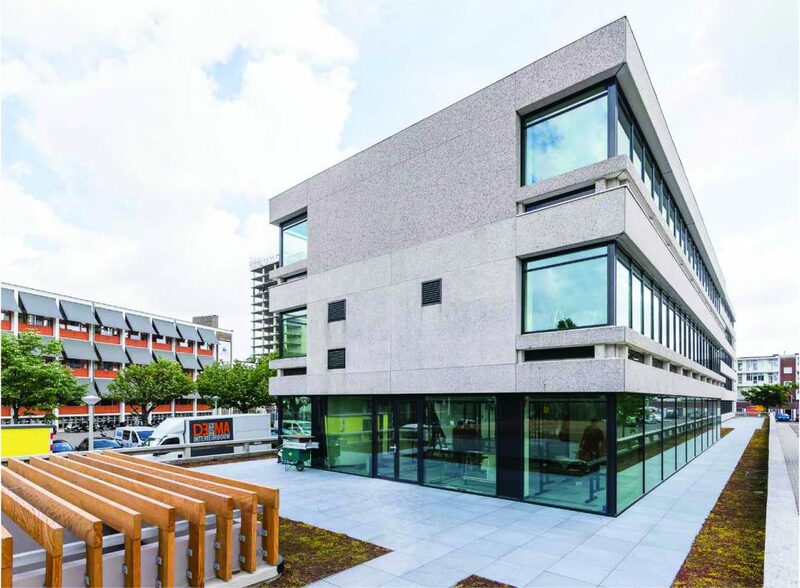 The building has been developed and built sustainably, in collaboration with our partner Zadelhoff, in accordance with the requirements of BREEAM Outstanding. 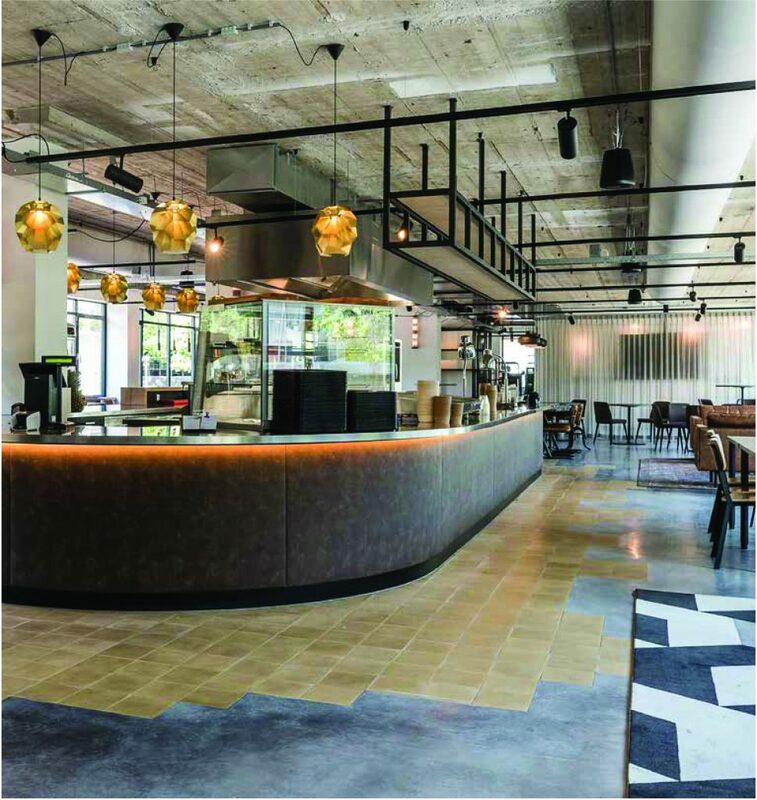 The building was completed in early 2018 with high-quality catering and retail space in the plinth, and houses a diversity of office tenants. 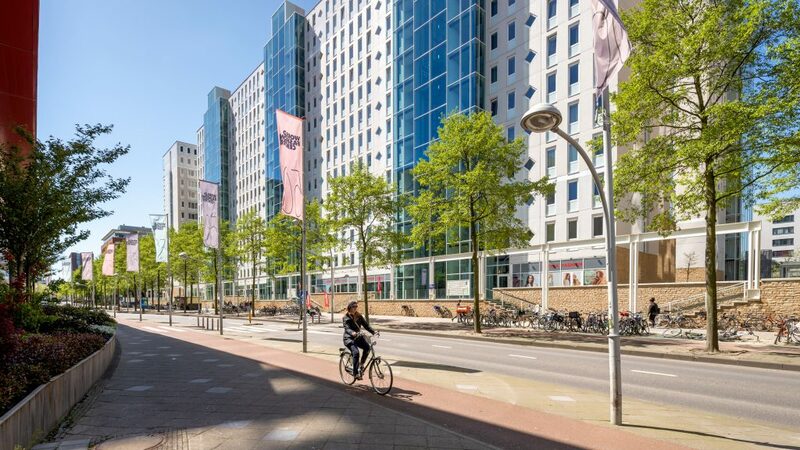 Maarsen Group has developed and realized over 500 apartments and an (underground) parking garage in the Oranjekwartier. 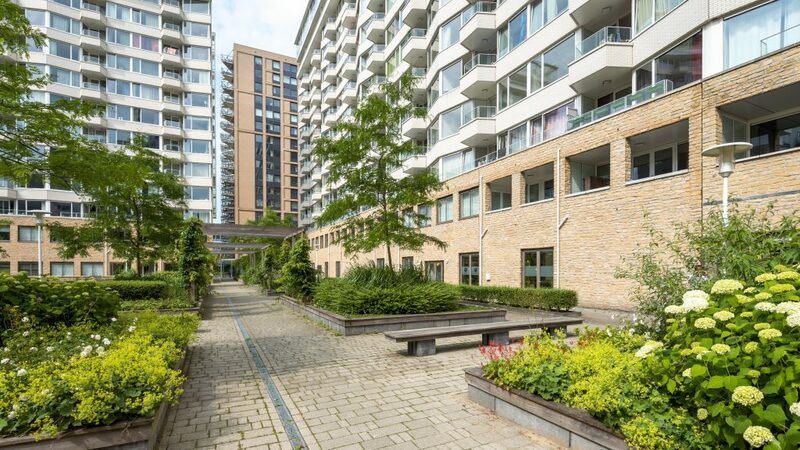 The rental apartments are located near the A10 West, opposite the World Fashion Centre: close to the city but above all in a green neighbourhood. 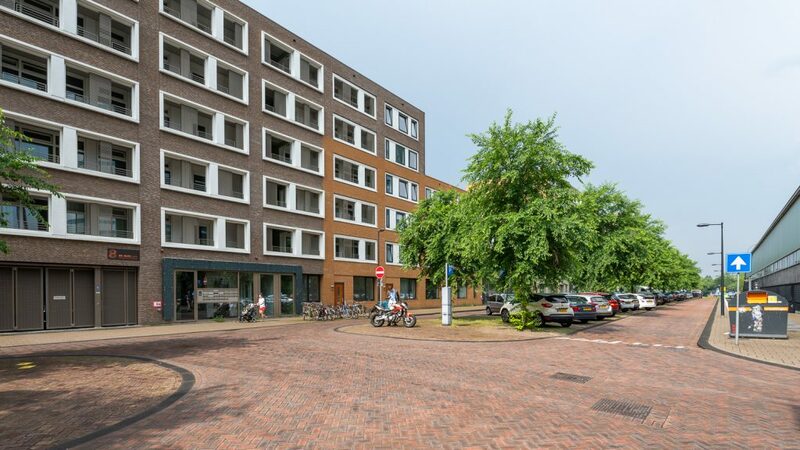 Here you will find three and four room apartments for people who want to enjoy living in Amsterdam. 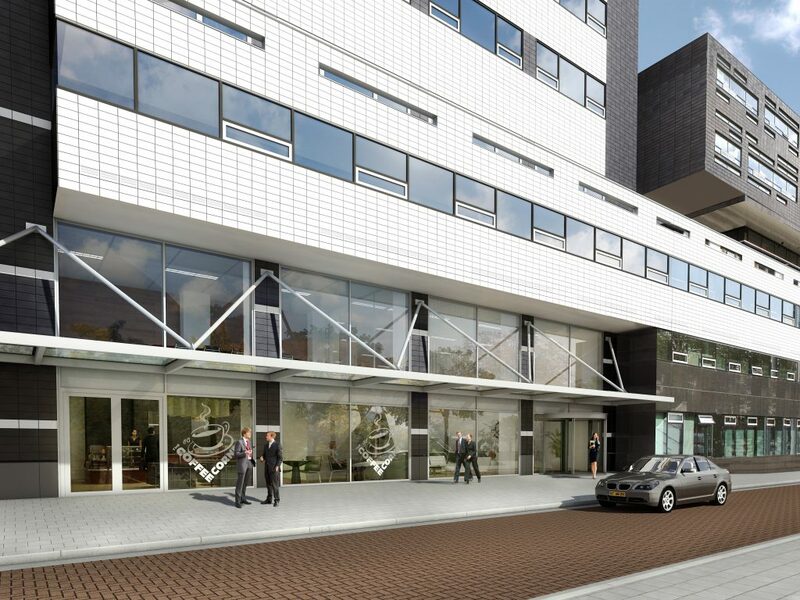 All apartments have a luxury kitchen, bathroom with bath and a luxurious finish. 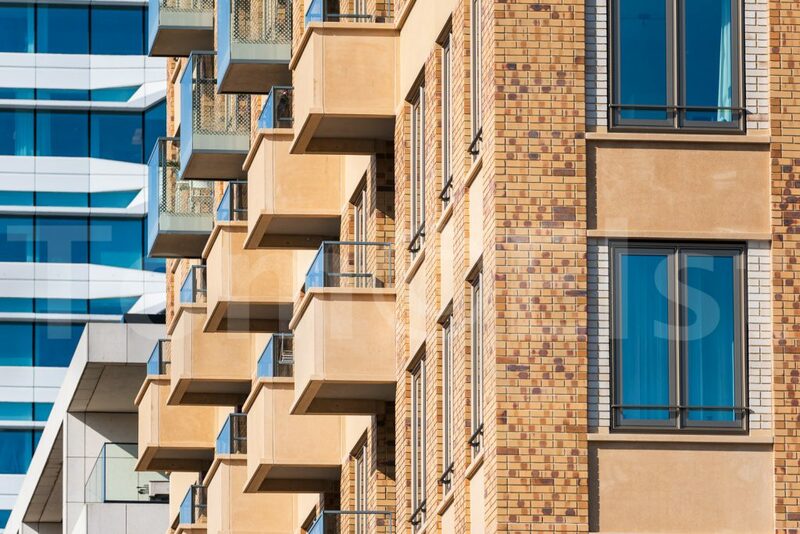 Each apartment has a private south-facing balcony with French doors. 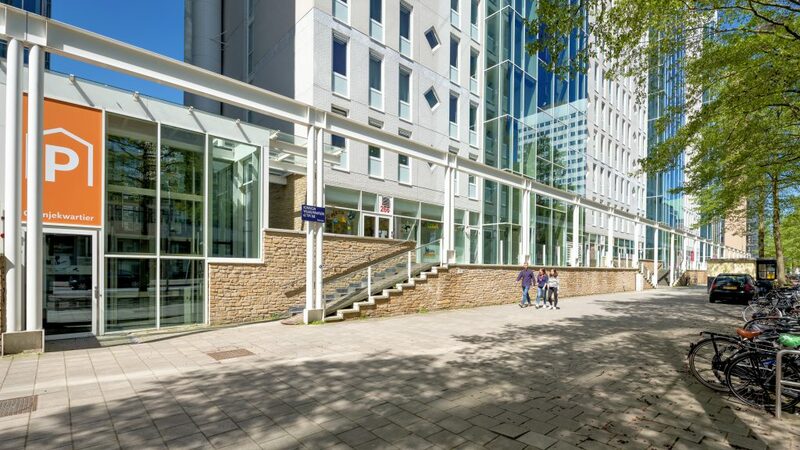 After the existing tenant left in 2016, the building at the Peter van Anrooystraat was thoroughly renovated in 2016 - 2017. 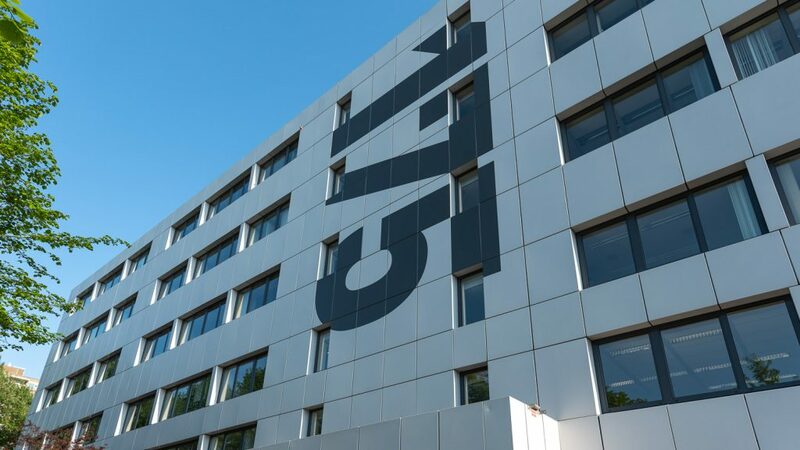 Together with the new tenant, IPG Mediabrands, a plan was developed in which all façade panels have been replaced, the installations have been completely renewed and a new interior has been custom-designed. 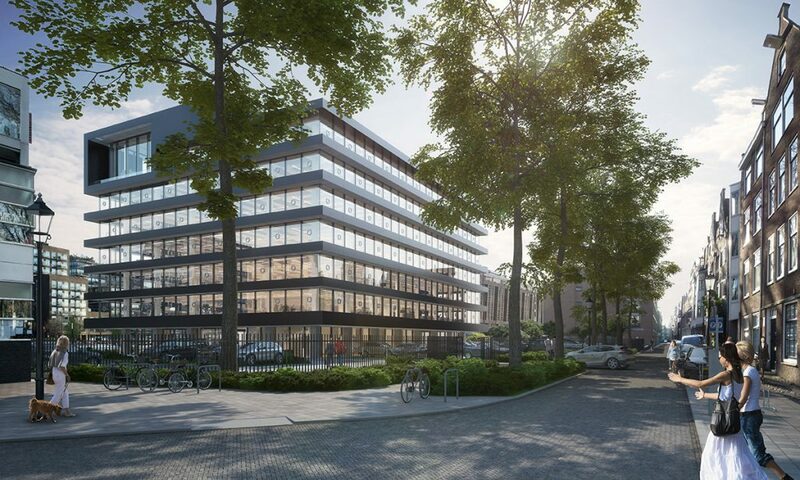 In addition, the existing parking deck has been transformed into office space and the existing basement is now used for parking cars and bicycles. 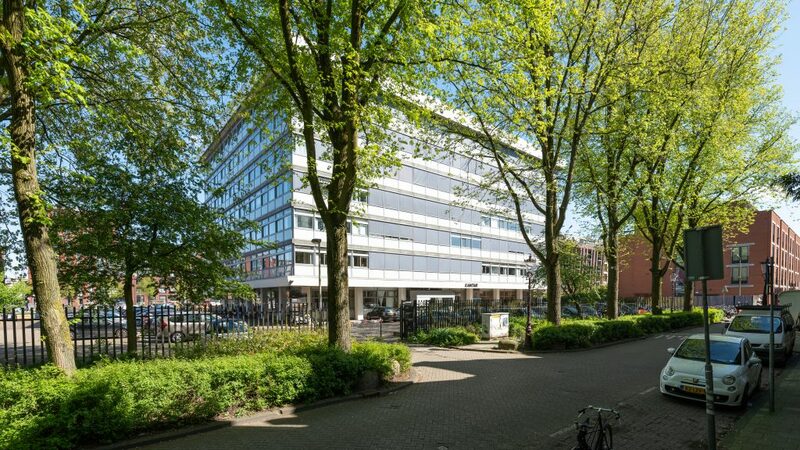 The building on the Peter van Anrooystraat is a textbook example of the method of the Maarsen Groep: the building was purchased with the idea to renovate. 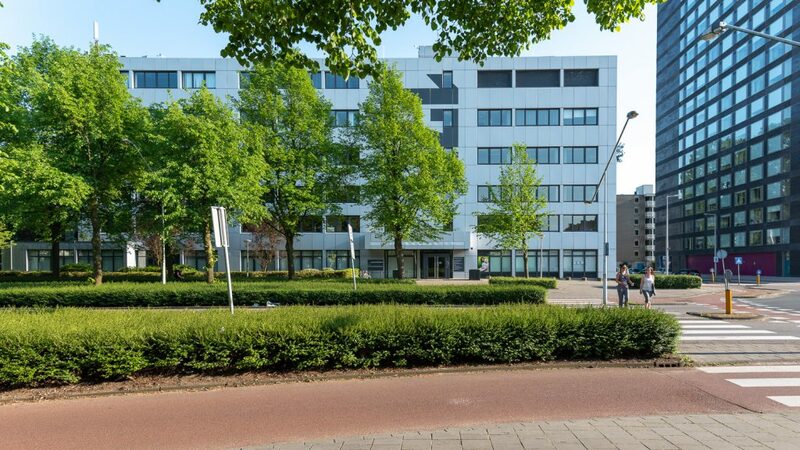 After completing the renovation, the building was sold in 2018, in an upward investment market. 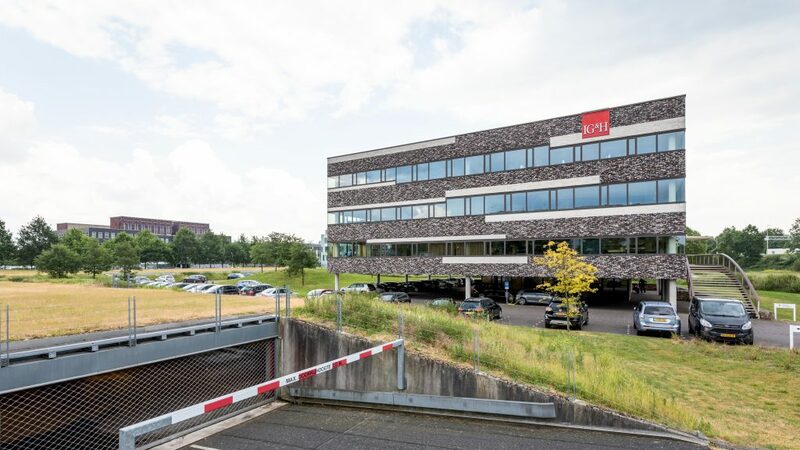 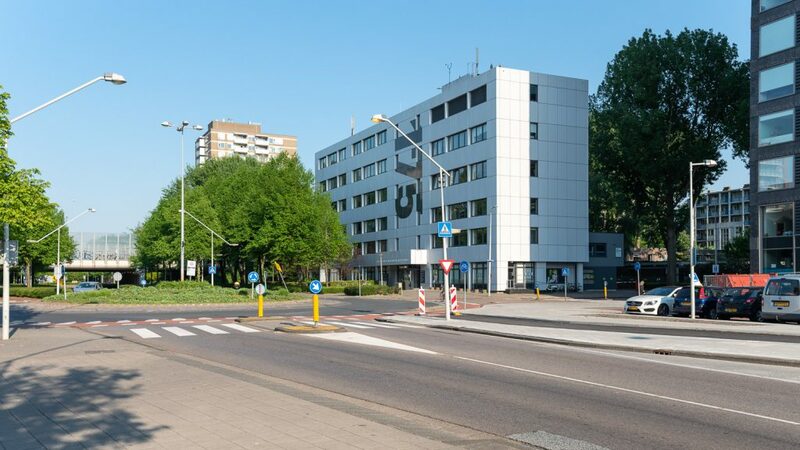 The office building on the Postjesweg will eventually be redeveloped into housing. 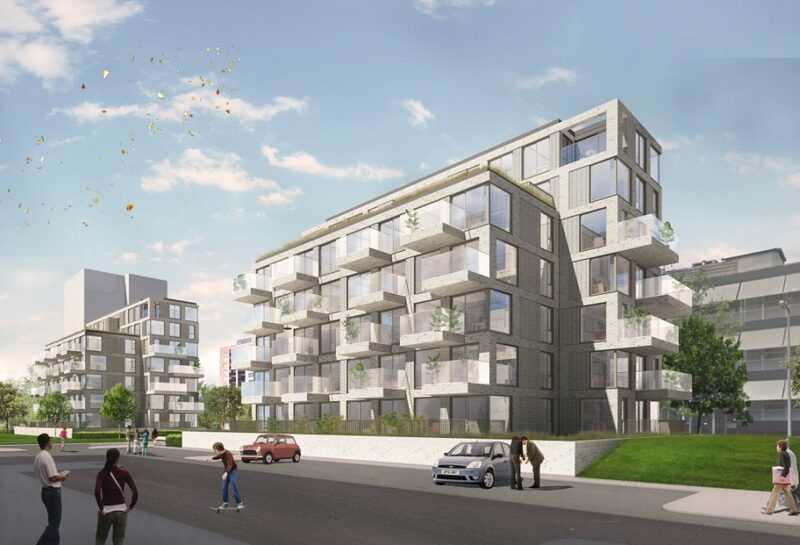 The location is ideal for the construction of (rental) apartments. 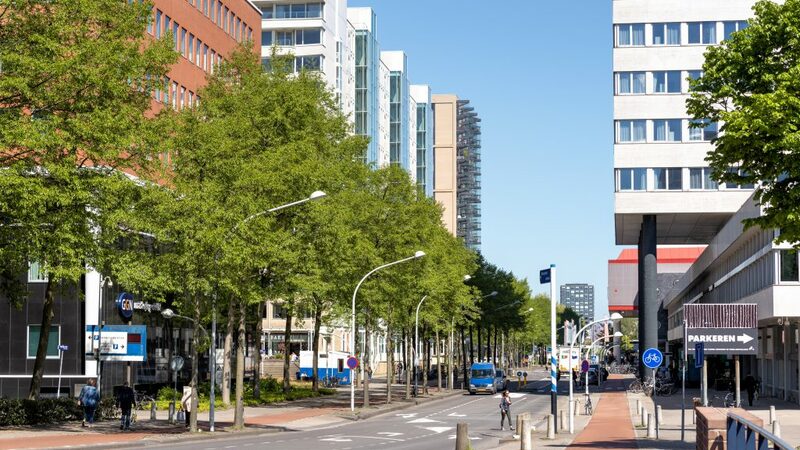 The housing plans are developed in consultation with the municipality and with respect for the immediate environment. 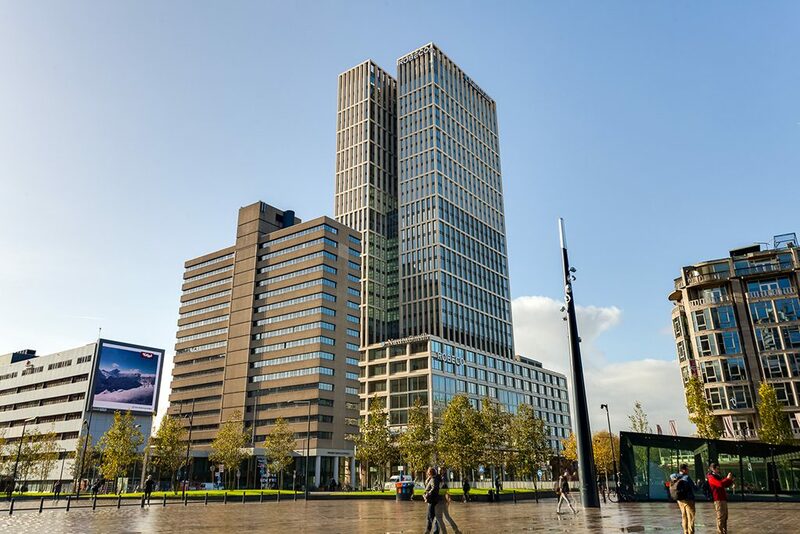 After the building on the Weena 750 - due to the departure of Nauta Dutilh to FIRST Rotterdam - was emptied, the bottom 10 floors of the existing building were transformed into 104 hotel apartments. 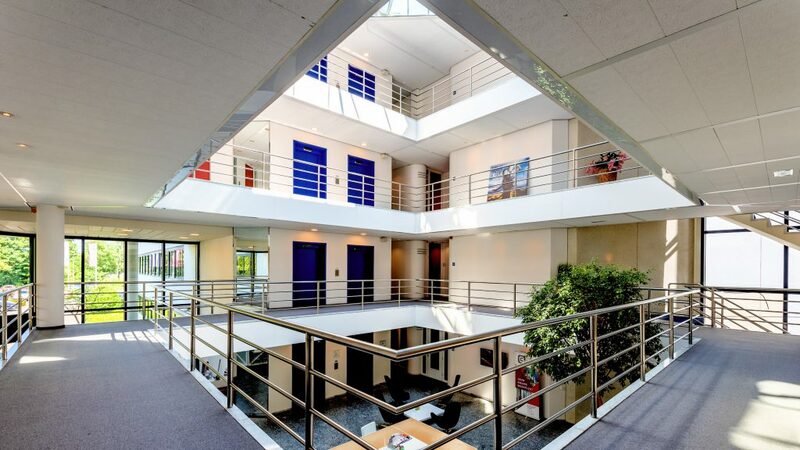 The top 7 floors have been renovated at the same time into representative office space. 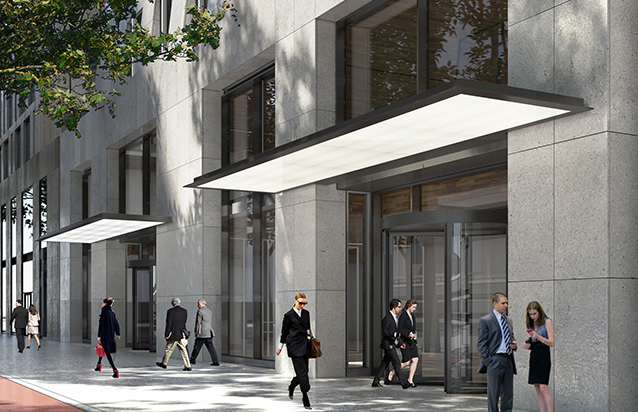 Both functions use the same elevators and stairwells, so one speaks rightly of a mixed-use building. 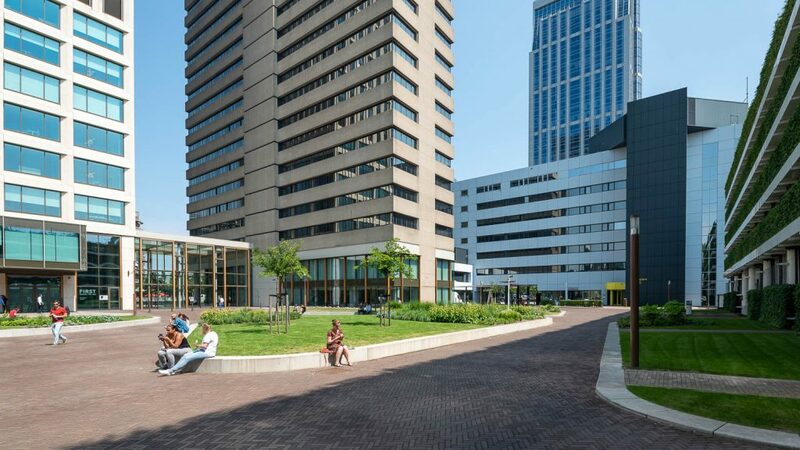 The inner garden, which was thoroughly renovated in 2016 with the above-ground parking garage, is a small-scale and very specifically designed building: the former Bouwcentrum. 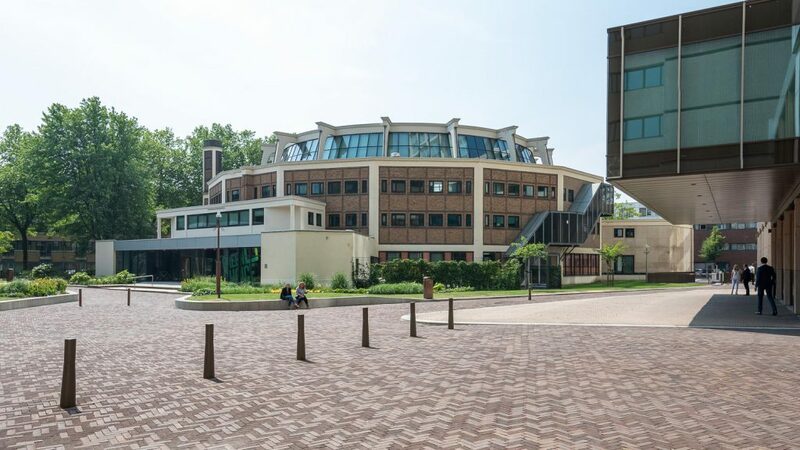 In this beautiful building, which has since been placed on the list of national monuments, the reconstruction of Rotterdam was directed in the 1950s. 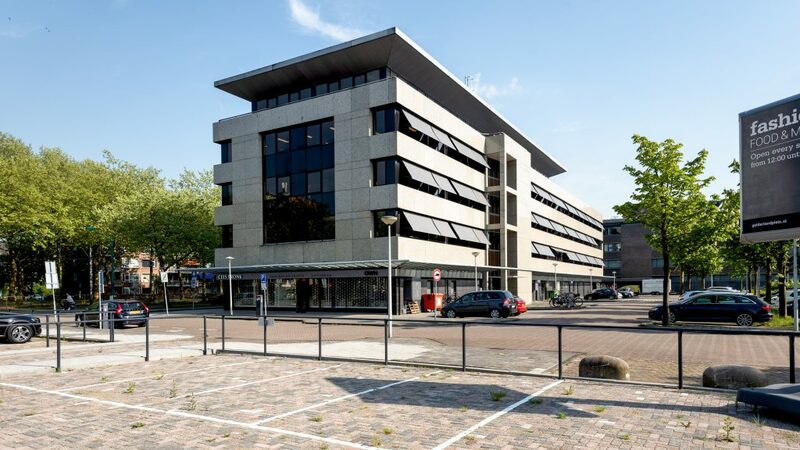 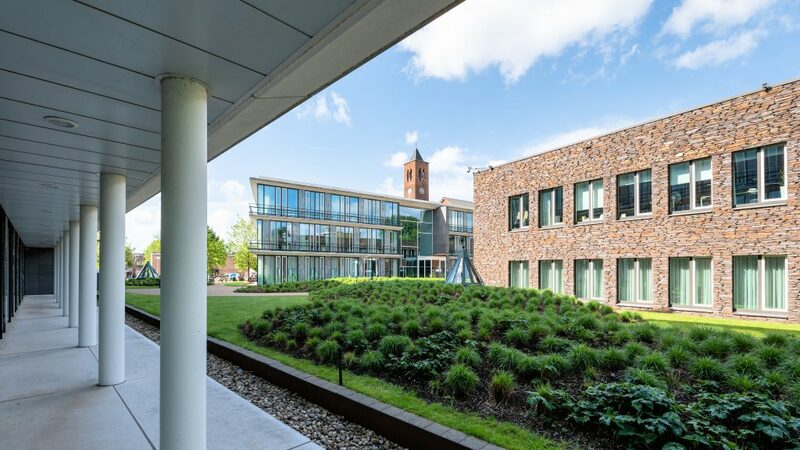 When the building was emptied in 2016, Maarsen Groep restored and preserved the building together with the new tenant Greenchoice. 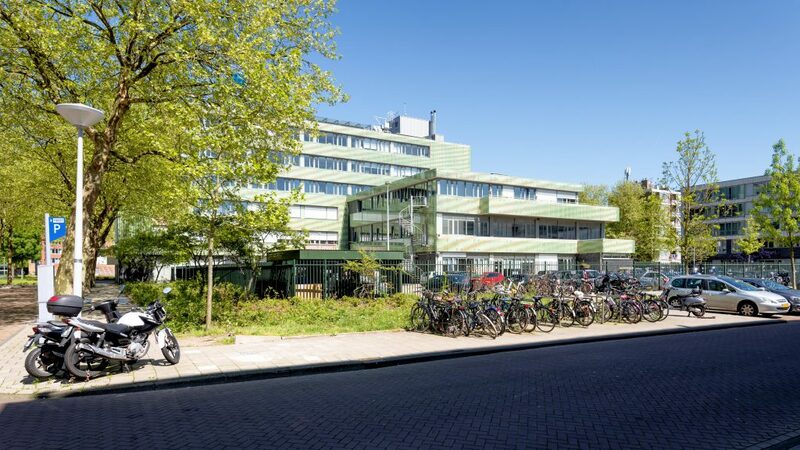 By applying sustainable techniques the energy label has increased from F to A. 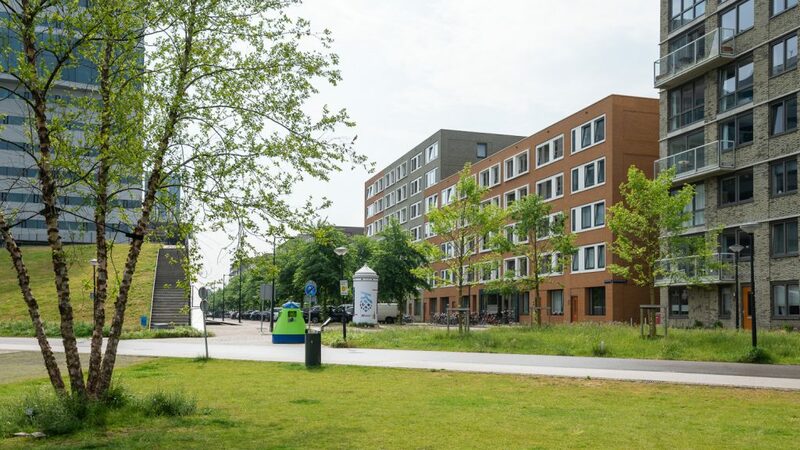 The existing building on the Startbaan will eventually make room for housing. 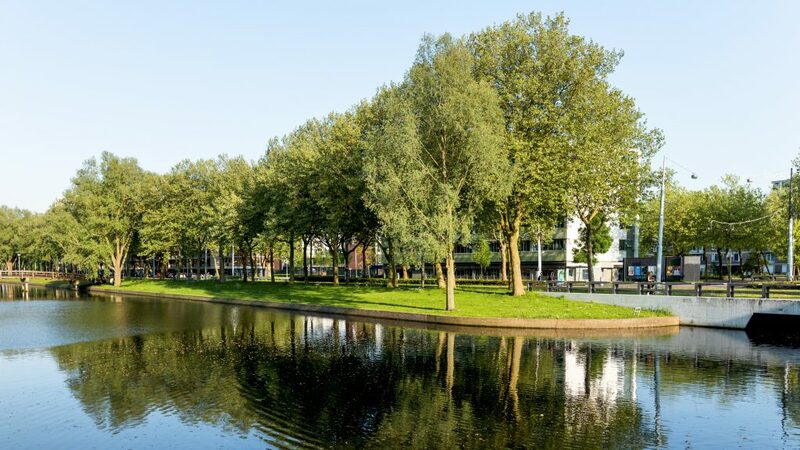 The location lends itself well for a combination of single-family homes and apartments. 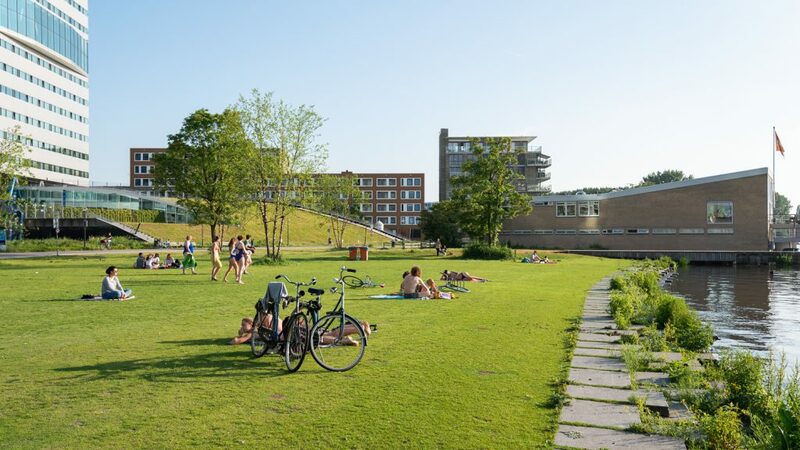 The plans have been designed in consultation with the municipality, in connection with the surrounding housing construction, while maintaining the green character of its surroundings. 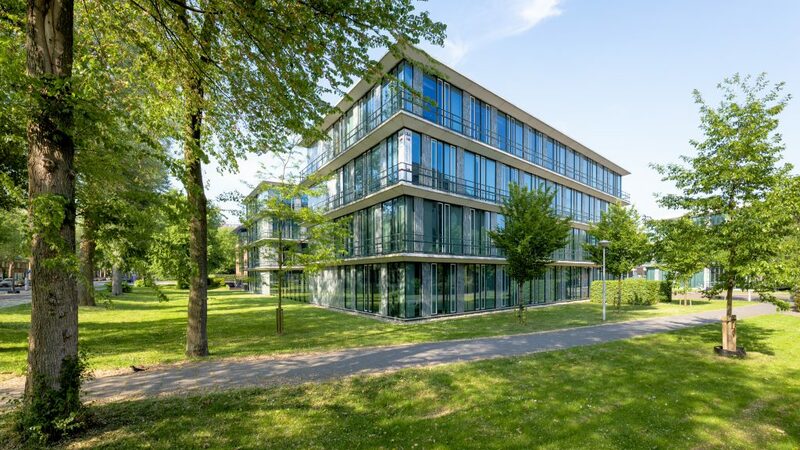 Triple Q comprises three company pavilions in a green, sloping landscape, ranging in size from 2,000, 3,000 and 4,000 m² LFA. 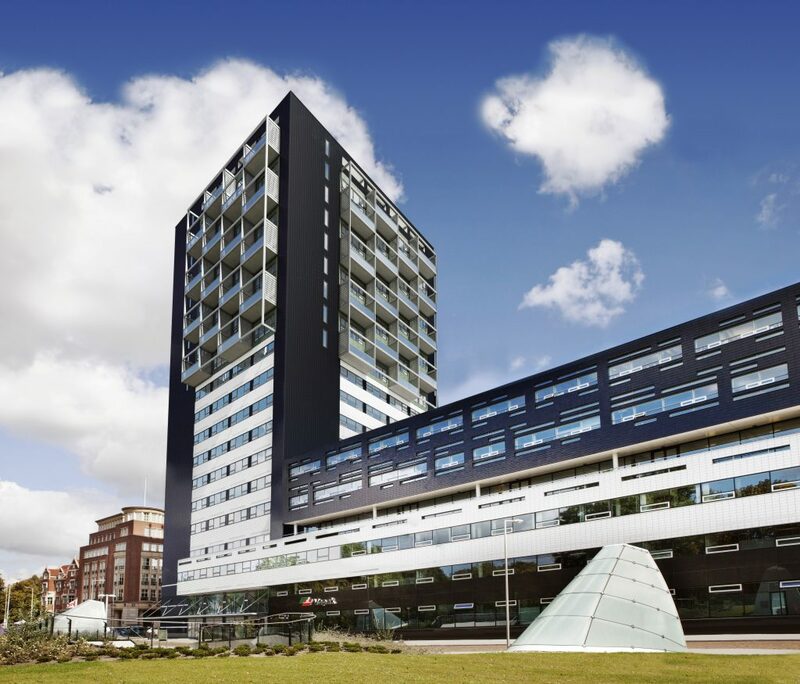 In 2012, the first building (3,000 m² LFA) was developed, realized and put into use. 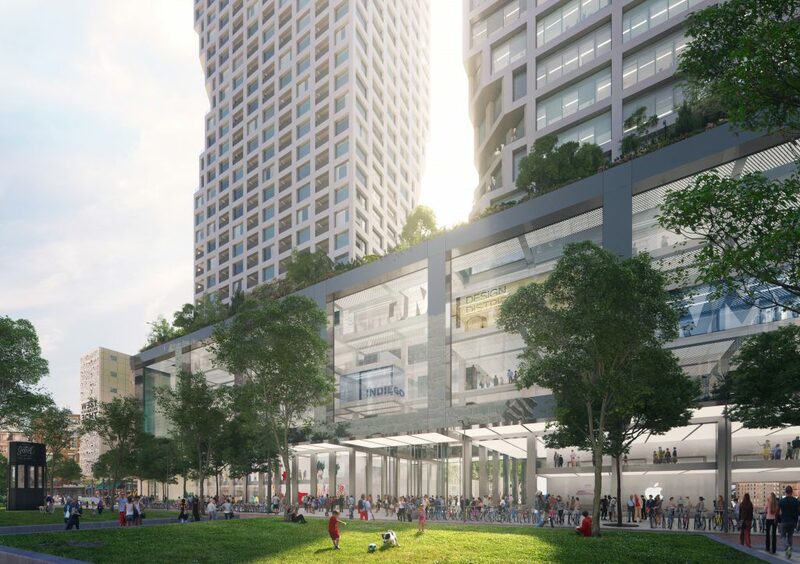 The design for the two remaining pavilions will soon be under construction. 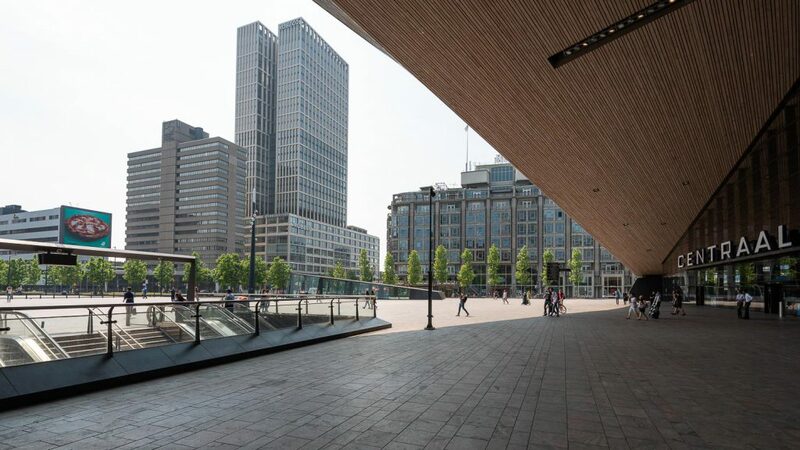 The building at Grote Bickersstraat 74 - 78 is located in the centre of Amsterdam, near the Central Station. 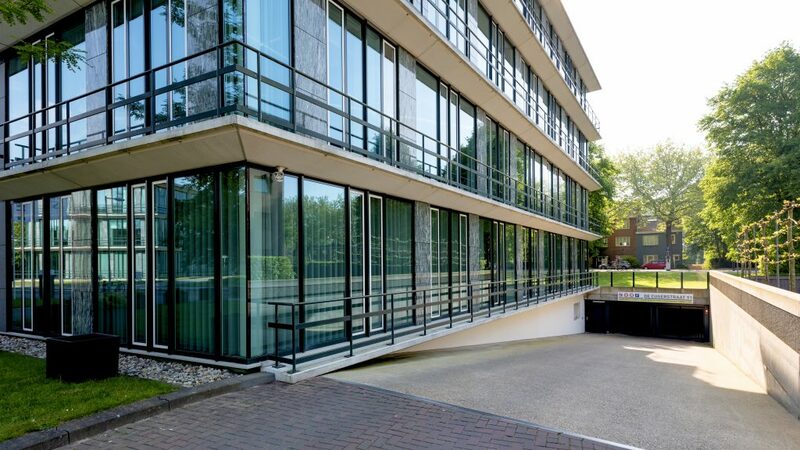 The building dates back to 1964 and forms an integral part of the construction history on Bickerseiland. 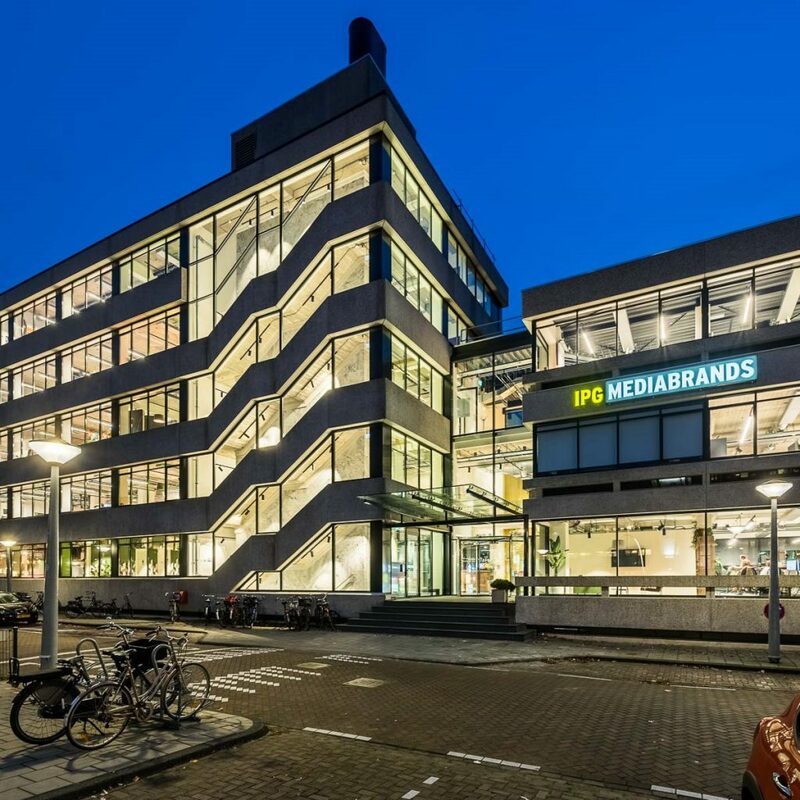 A thorough renovation will take place in 2018, after the building has been used for years by a market research agency. 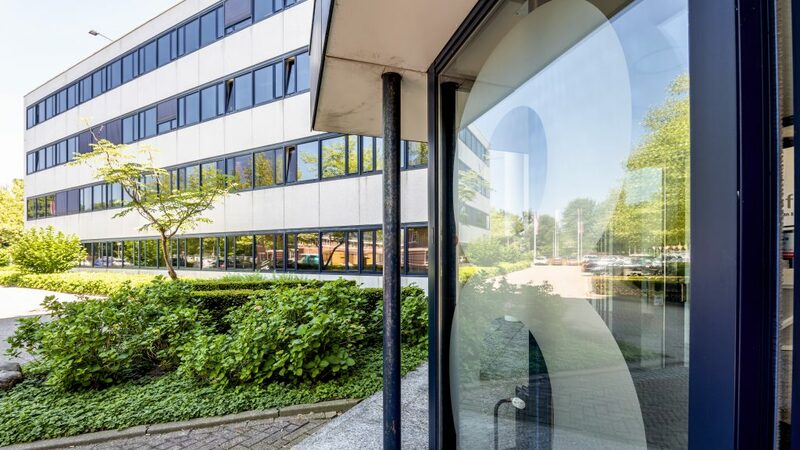 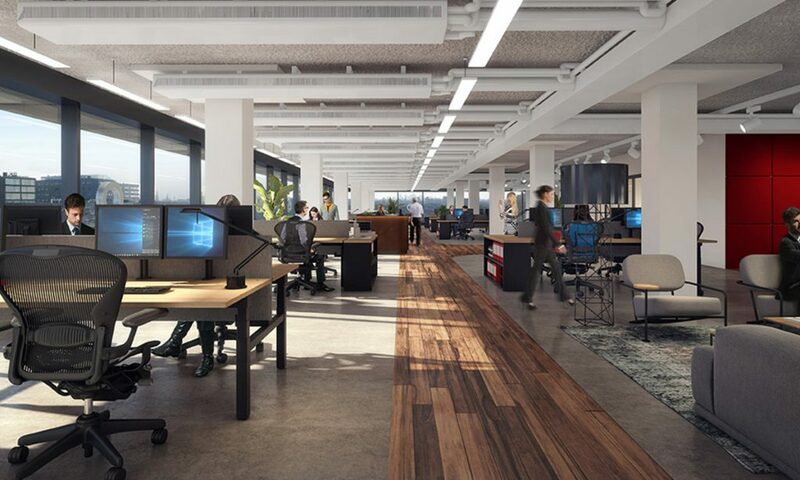 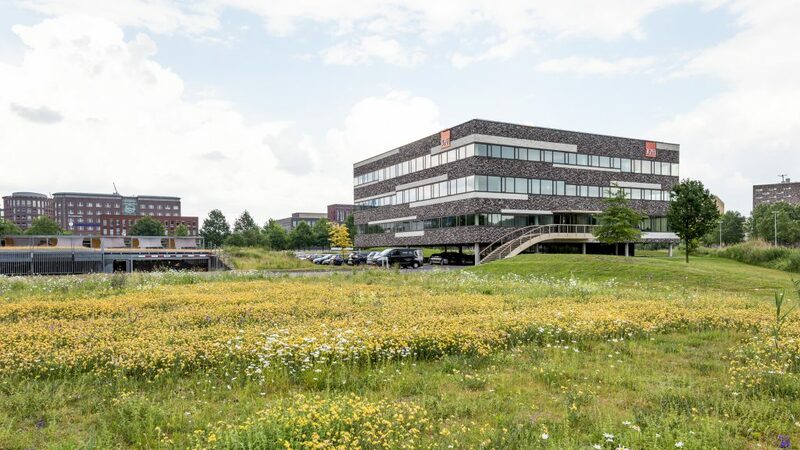 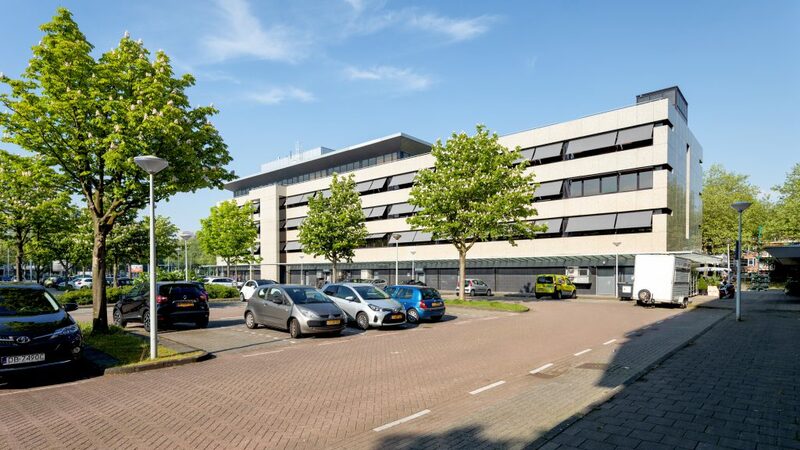 With this renovation, Maarsen Groep has the ambition to make the existing building more sustainable and to renovate into high-quality offices with a distinct identity. 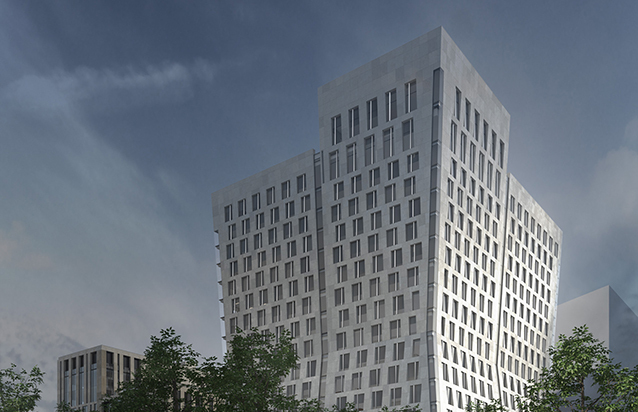 KAAN Architects made a new design, in which the qualities of the original building are respected, using the latest techniques and meeting current requirements. 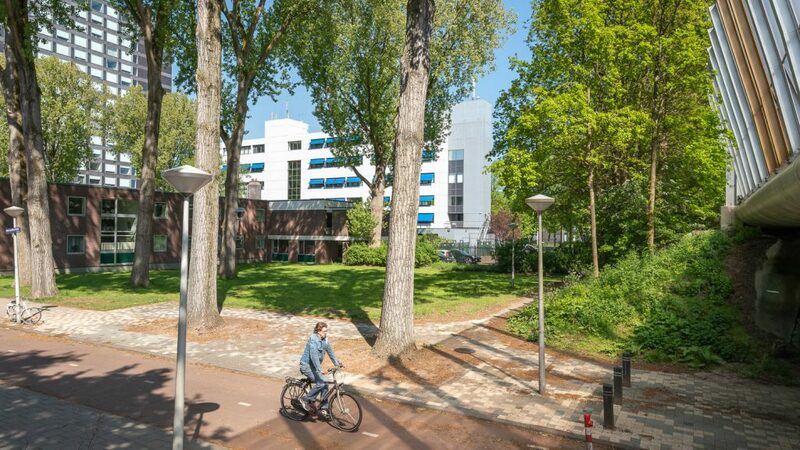 The surrounding grounds will also be redecorated and given a green character, with parking spaces integrated in the green. 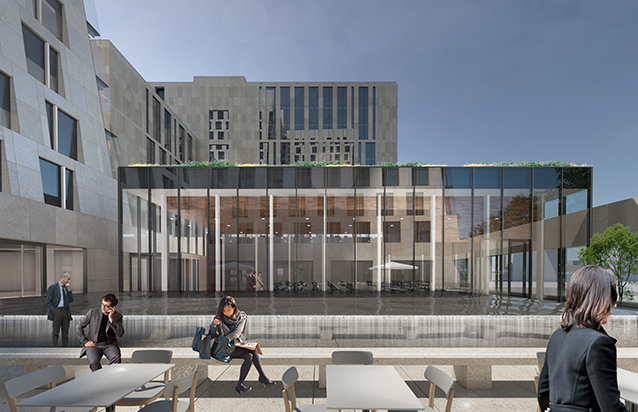 The renovation is planned to start at the end of 2018 and is expected to be completed by the end of 2019. 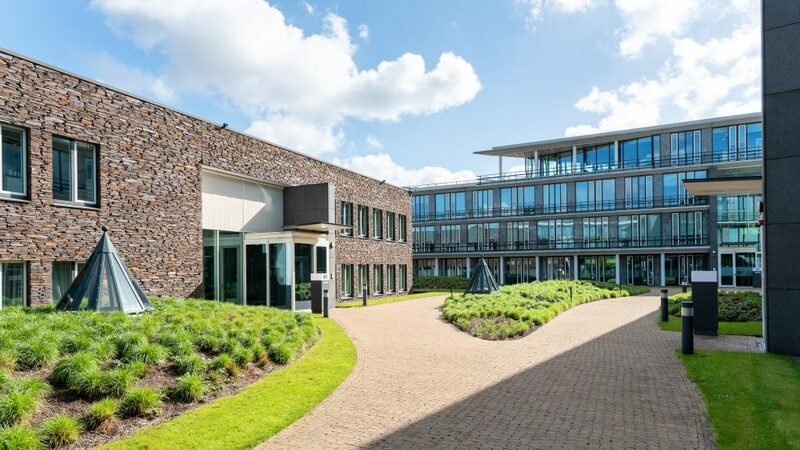 Since 2000, Maarsen Groep - together with partners Zadelhoff and Vopak - redesigned the former head office of Van Ommeren in 3 phases. 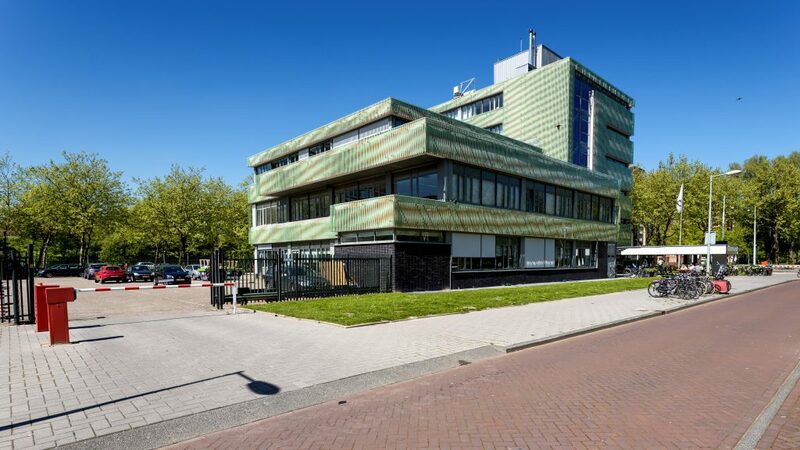 Following the design of Ector Hoogstad Architects, the new head office for Vopak was the first to be realized (2005). 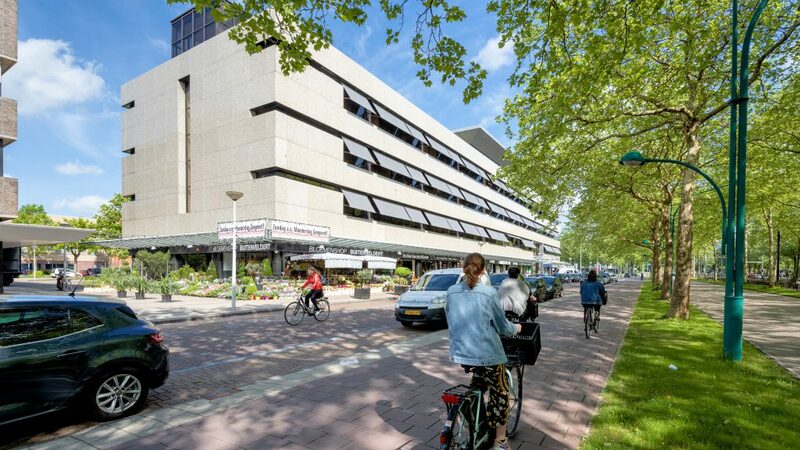 Subsequently, an underground parking garage was realized underneath "Het Park" (National Monument). 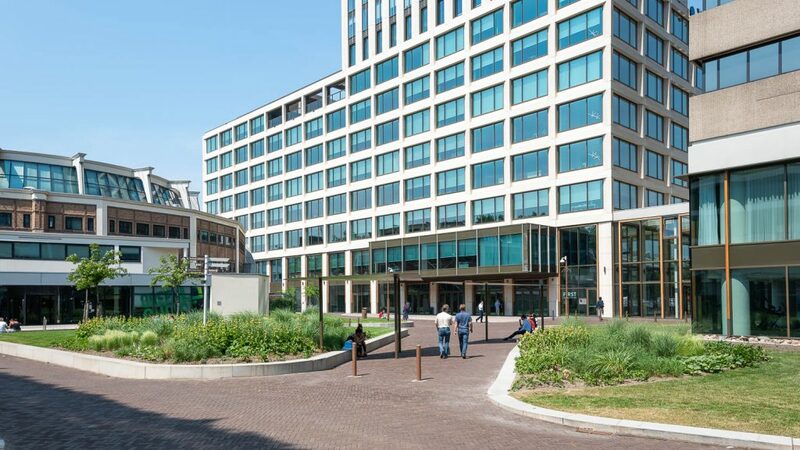 In the final stage, the former office tower was redeveloped into a combination of office space and housing. 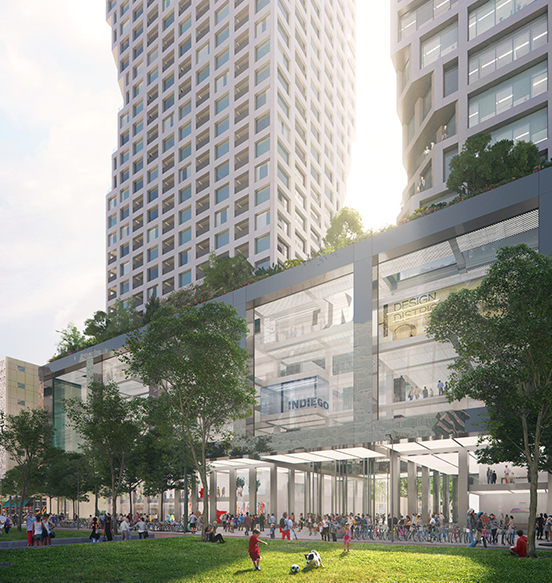 The top two layers of the old tower were demolished for this purpose and replaced by five new layers in a lighter construction. 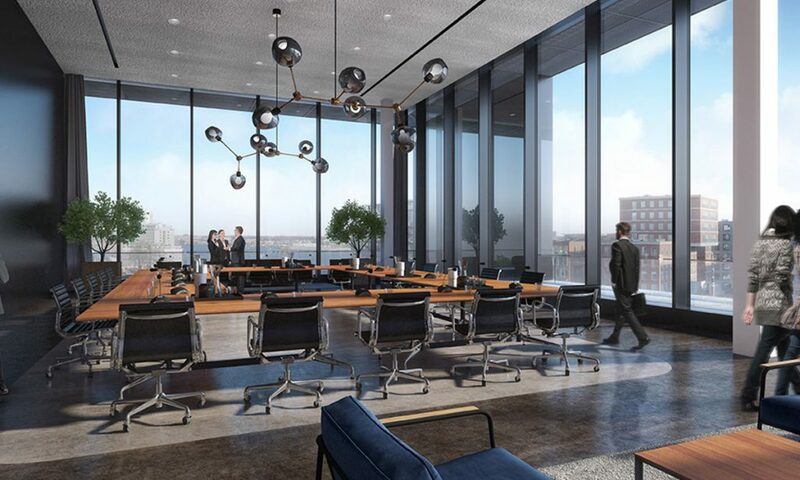 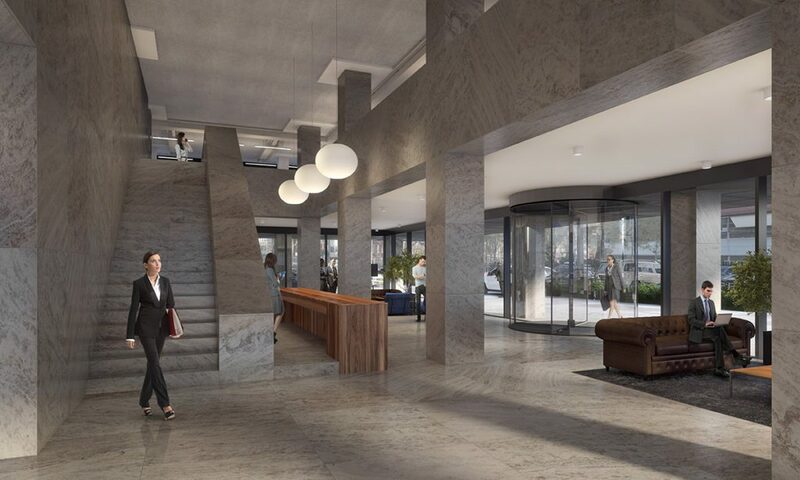 A total of ten office floors and 45 owner-occupied apartments have been realized in the tower. 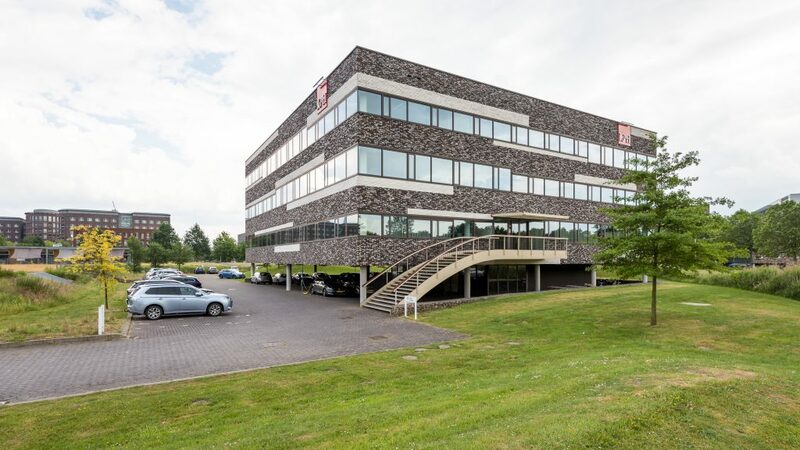 The complete renovation was completed in early 2012 and the offices were subsequently sold in 2014.